2 Nervous systems Perform the three overlapping functions of sensory input, integration, and motor output Peripheral nervous system (PNS). 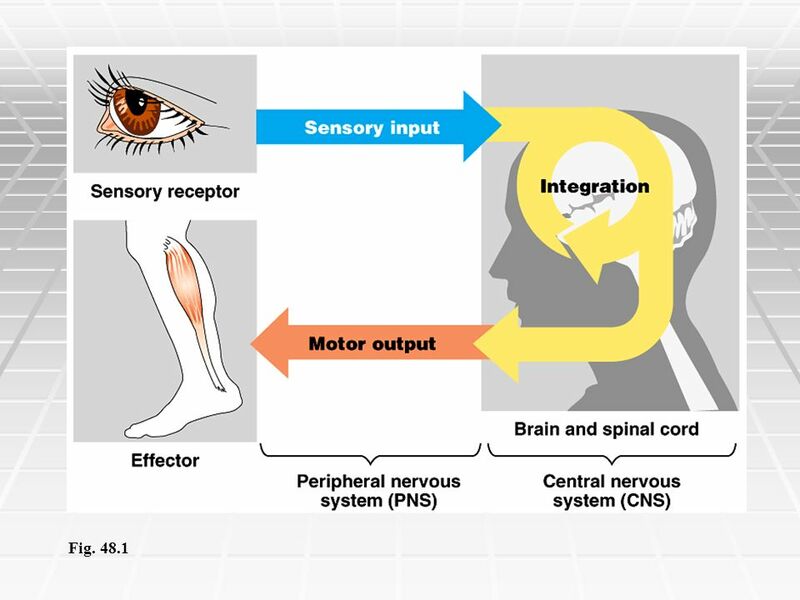 Sensory receptors a responsive to external and internal stimuli. Such sensory input is conveyed to integration centers. Where in the input is interpreted an associated with a response. 4 The central nervous system (CNS) is responsible for integration. 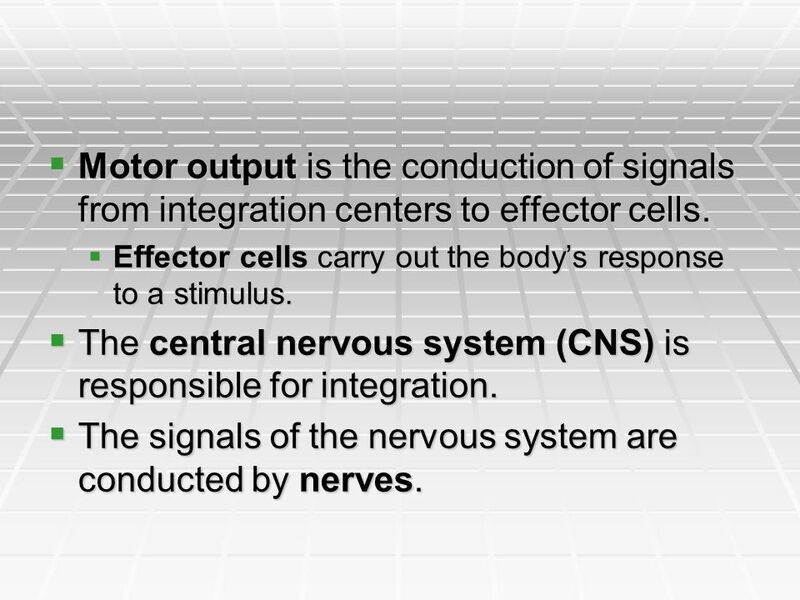 Motor output is the conduction of signals from integration centers to effector cells. Effector cells carry out the body’s response to a stimulus. The central nervous system (CNS) is responsible for integration. The signals of the nervous system are conducted by nerves. 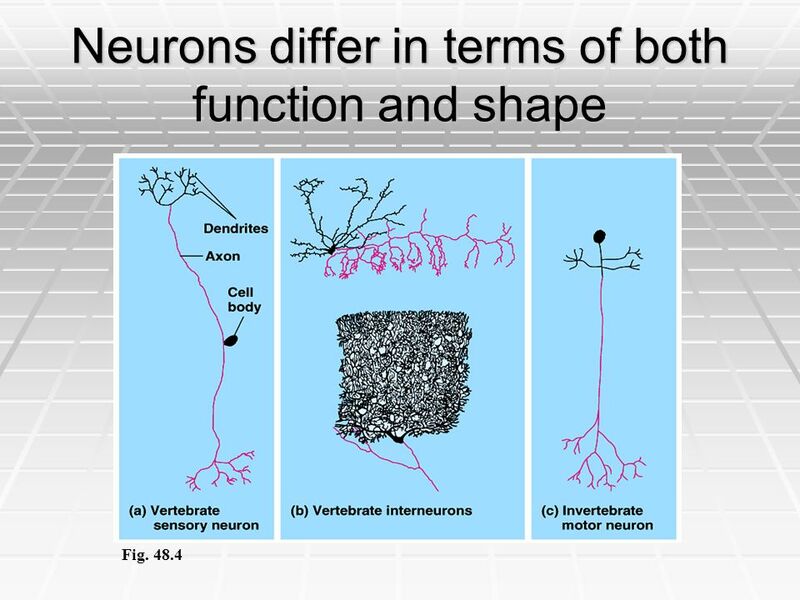 5 Networks of neurons Neuron Structure and Synapses. The neuron is the structural and functional unit of the nervous system. Nerve impulses are conducted along a neuron. 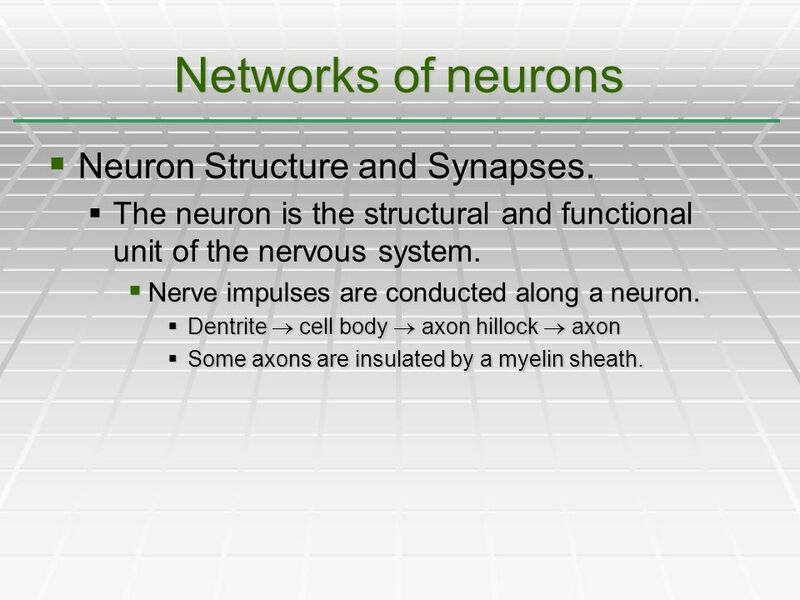 Dentrite  cell body  axon hillock  axon Some axons are insulated by a myelin sheath. 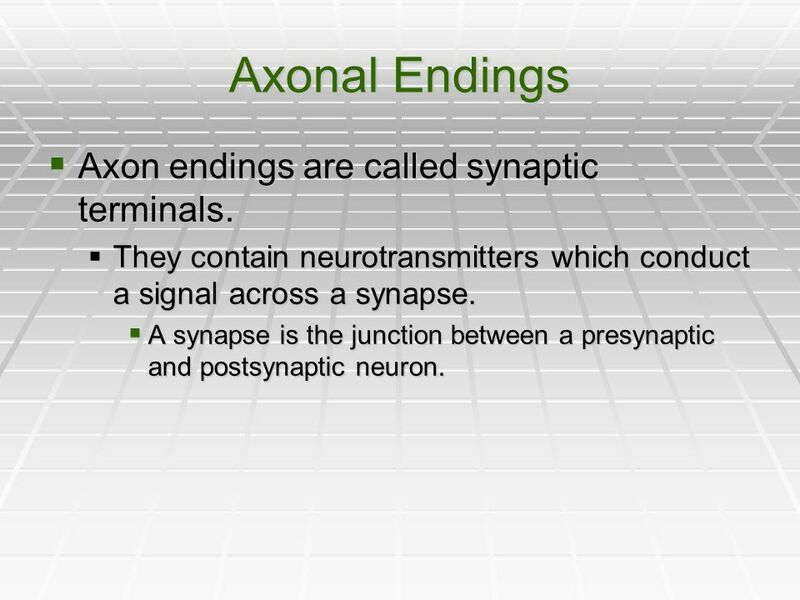 7 Axonal Endings Axon endings are called synaptic terminals. They contain neurotransmitters which conduct a signal across a synapse. 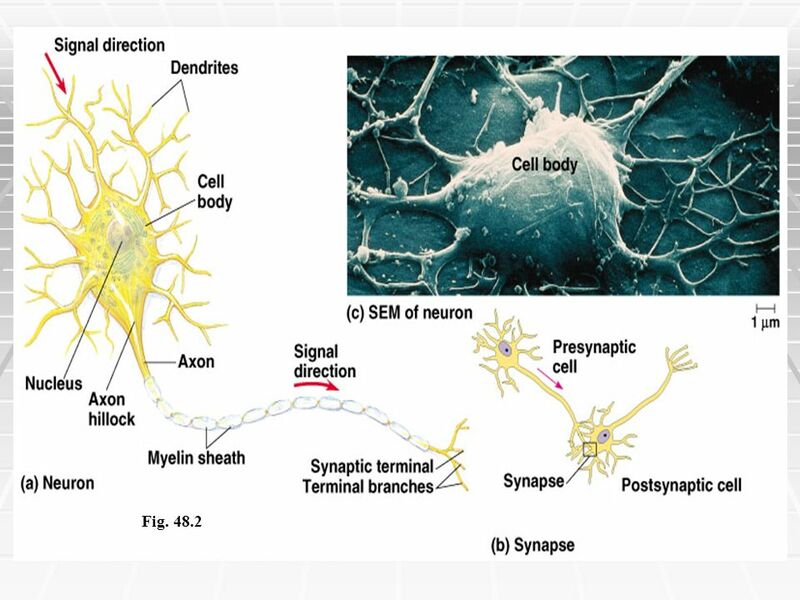 A synapse is the junction between a presynaptic and postsynaptic neuron. 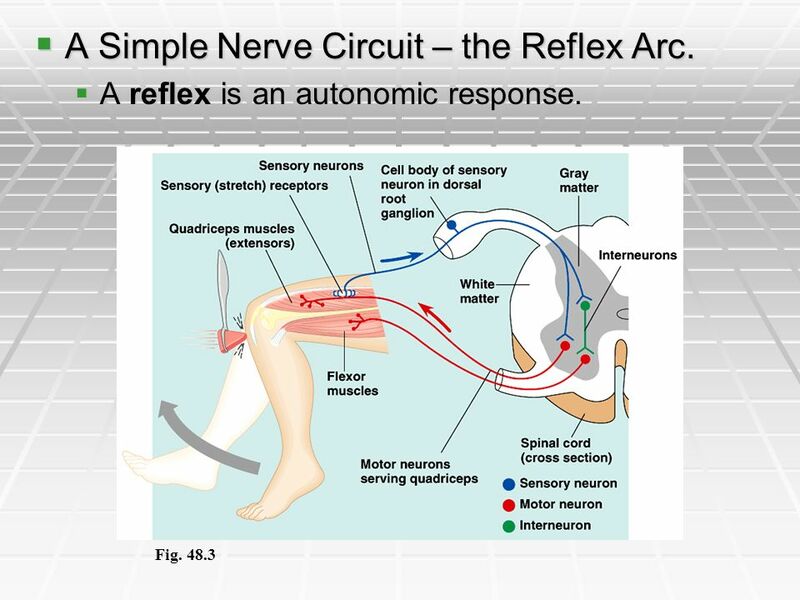 8 A Simple Nerve Circuit – the Reflex Arc. 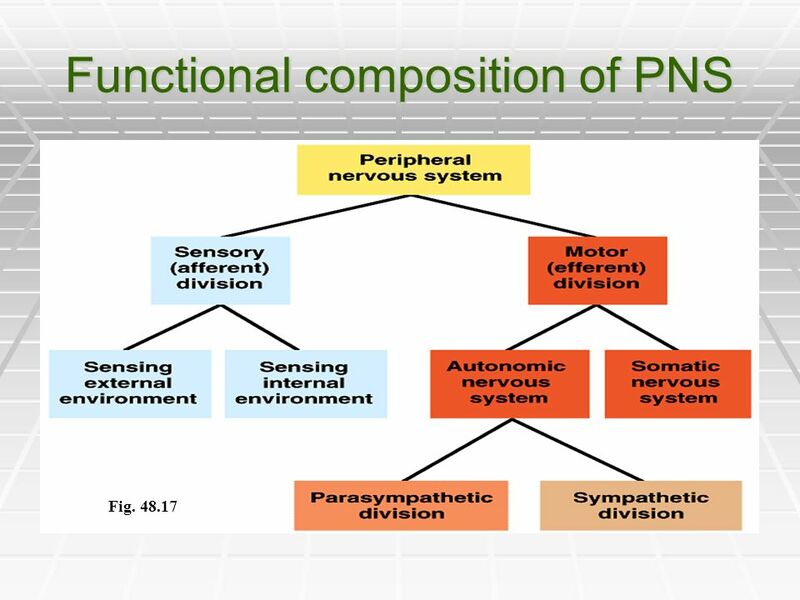 9 A ganglion is a cluster of nerve cell bodies within the PNS. A nucleus is a cluster of nerve cell bodies within the CNS. Single presynaptic neuron  several postsynaptic neurons. Several presynaptic neurons  single postsynaptic neuron. Circular paths. 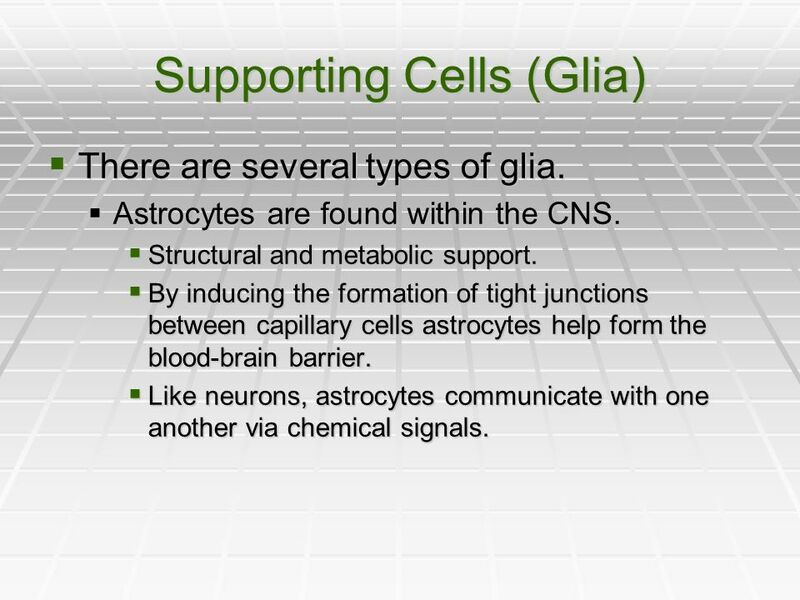 There are several types of glia. Astrocytes are found within the CNS. Structural and metabolic support. By inducing the formation of tight junctions between capillary cells astrocytes help form the blood-brain barrier. Like neurons, astrocytes communicate with one another via chemical signals. 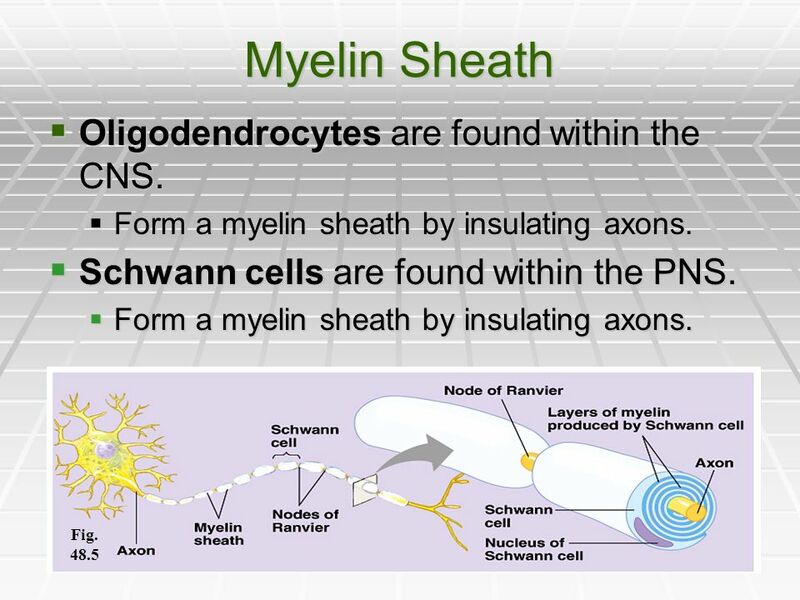 13 Myelin Sheath Oligodendrocytes are found within the CNS. 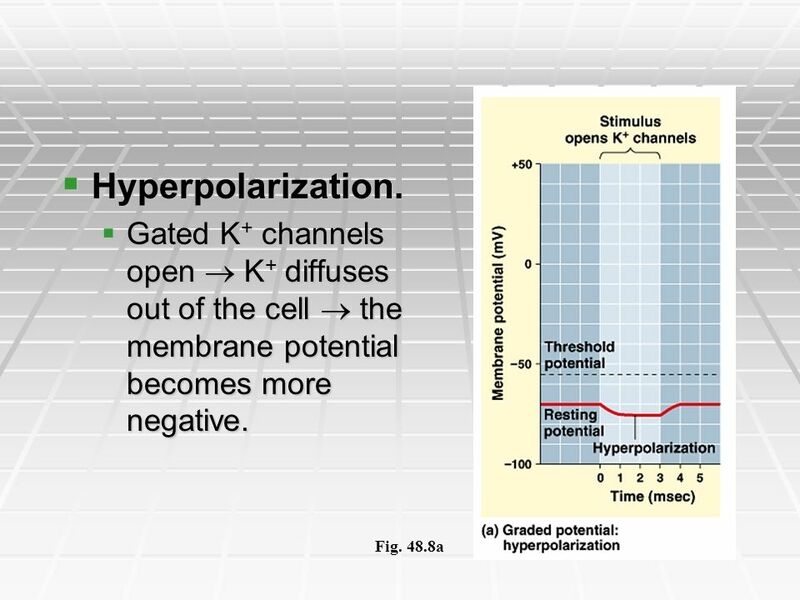 Membrane potential, across its plasma membrane A membrane potential is a localized electrical gradient across membrane. Anions are more concentrated within a cell. 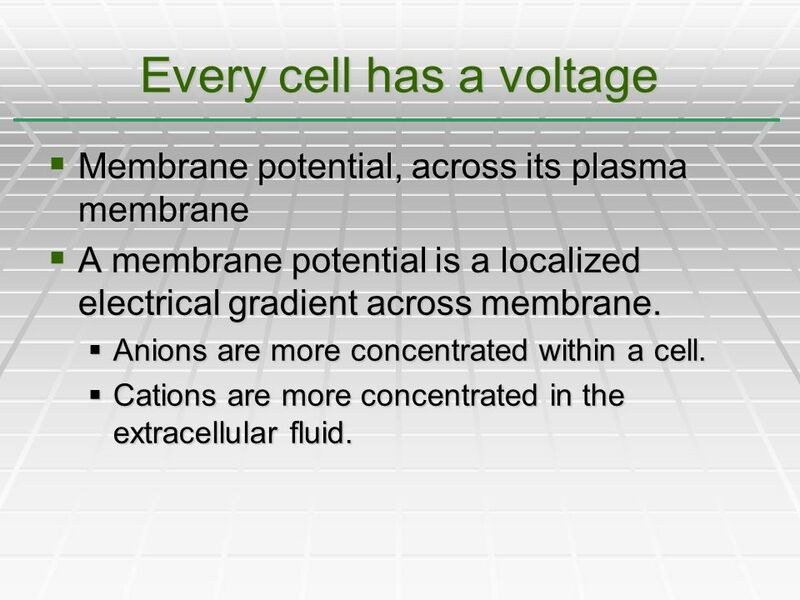 Cations are more concentrated in the extracellular fluid. Fig. 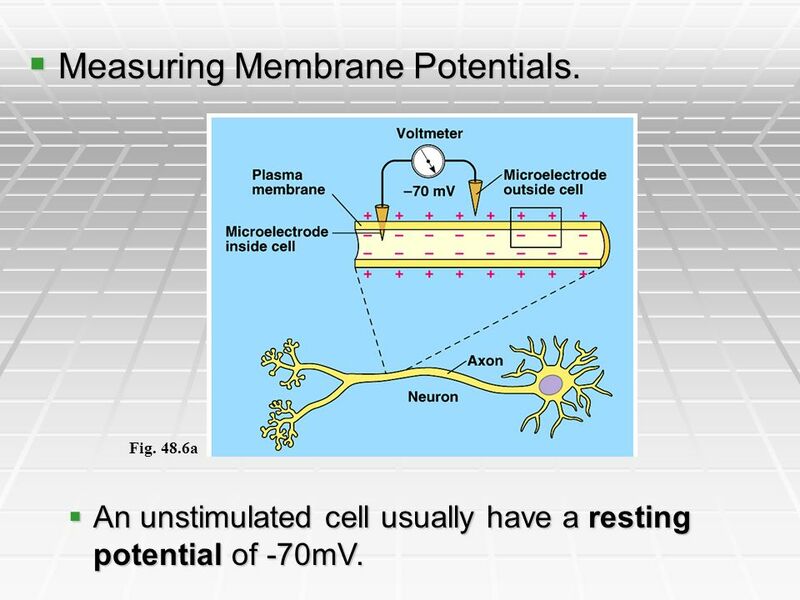 48.6a An unstimulated cell usually have a resting potential of -70mV. Cations. K+ the principal intracellular cation. Na+ is the principal extracellular cation. Anions. 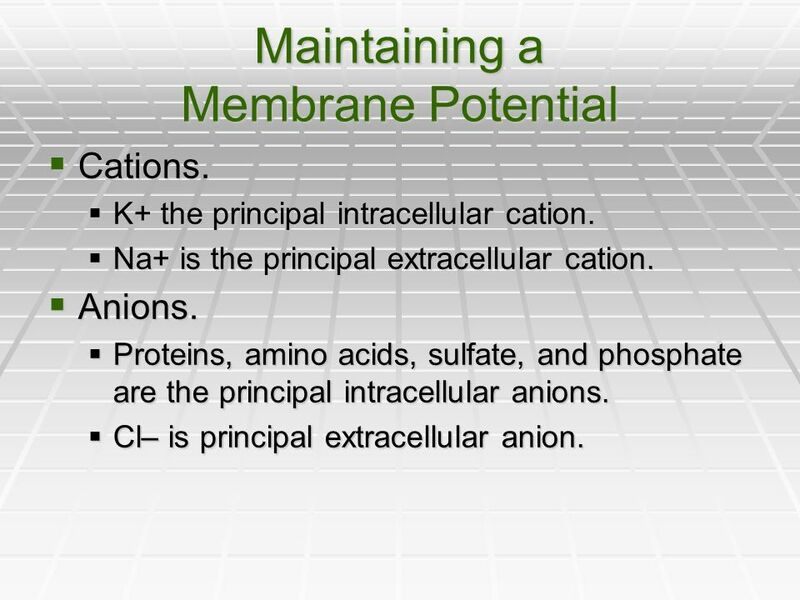 Proteins, amino acids, sulfate, and phosphate are the principal intracellular anions. Cl– is principal extracellular anion. 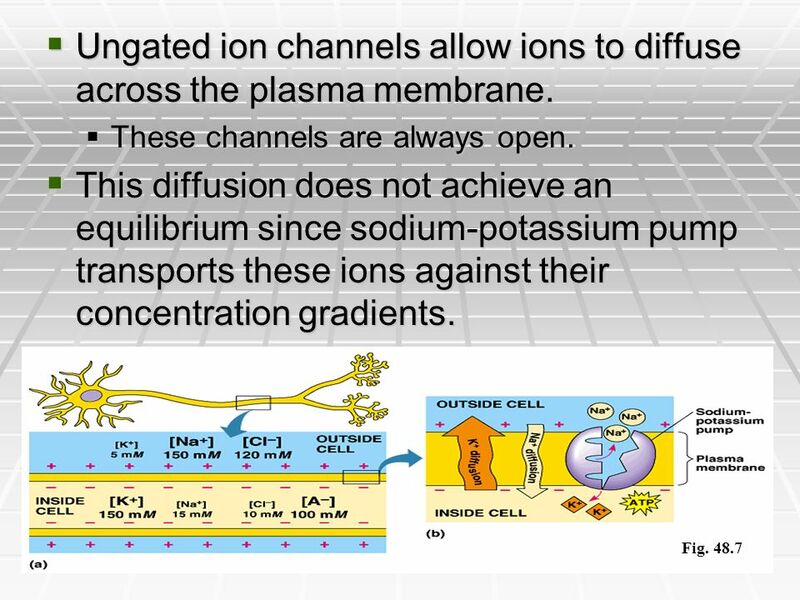 17 Ungated ion channels allow ions to diffuse across the plasma membrane. 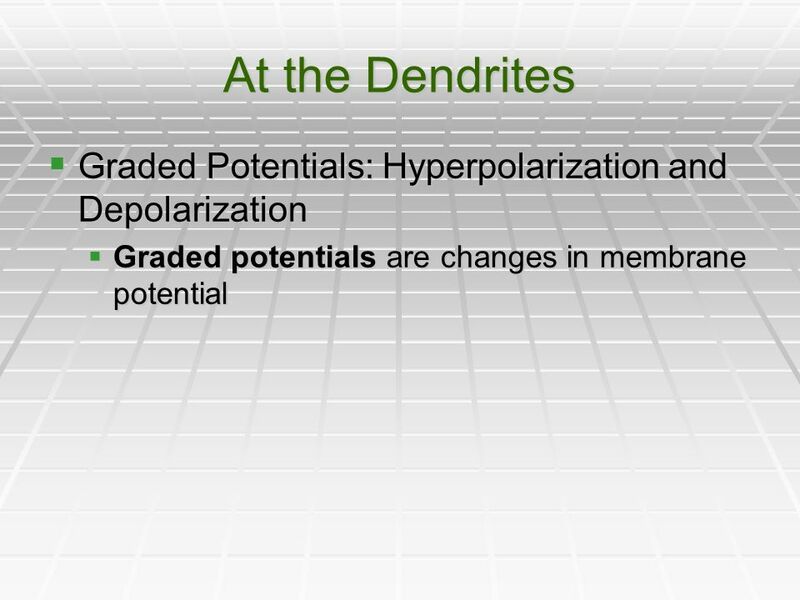 Excitable cells have the ability to generate large changes in their membrane potentials. Gated ion channels open or close in response to stimuli. 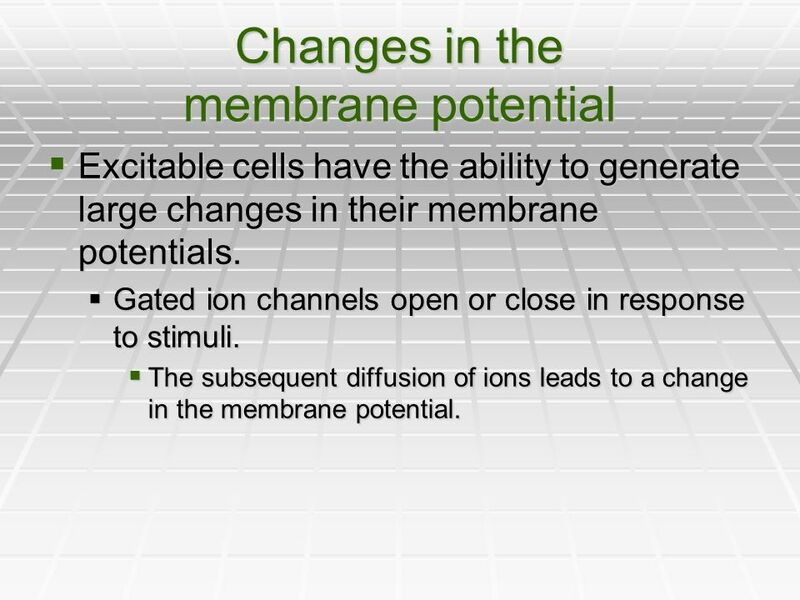 The subsequent diffusion of ions leads to a change in the membrane potential. 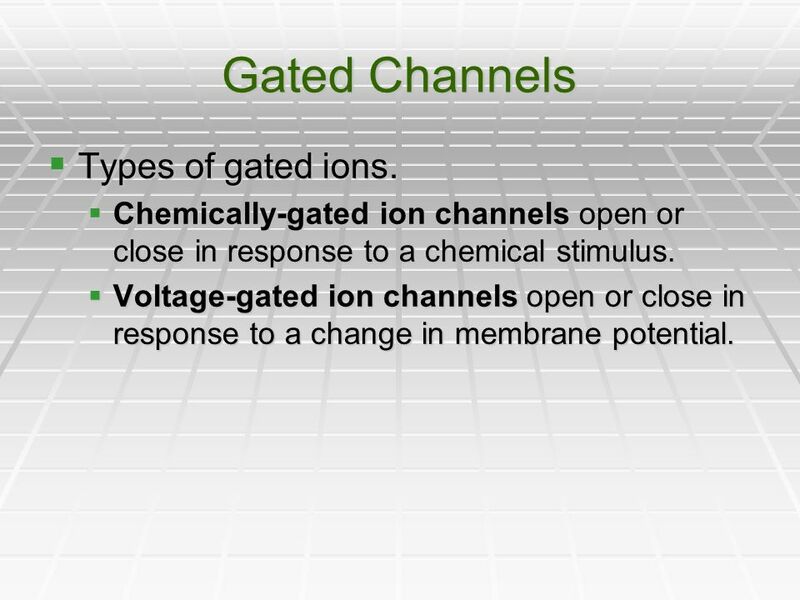 19 Gated Channels Types of gated ions. Chemically-gated ion channels open or close in response to a chemical stimulus. 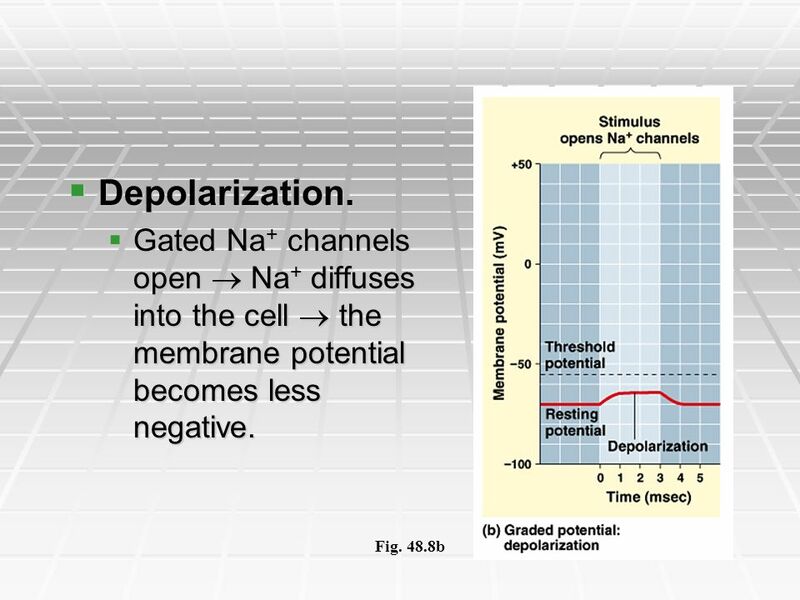 Voltage-gated ion channels open or close in response to a change in membrane potential. 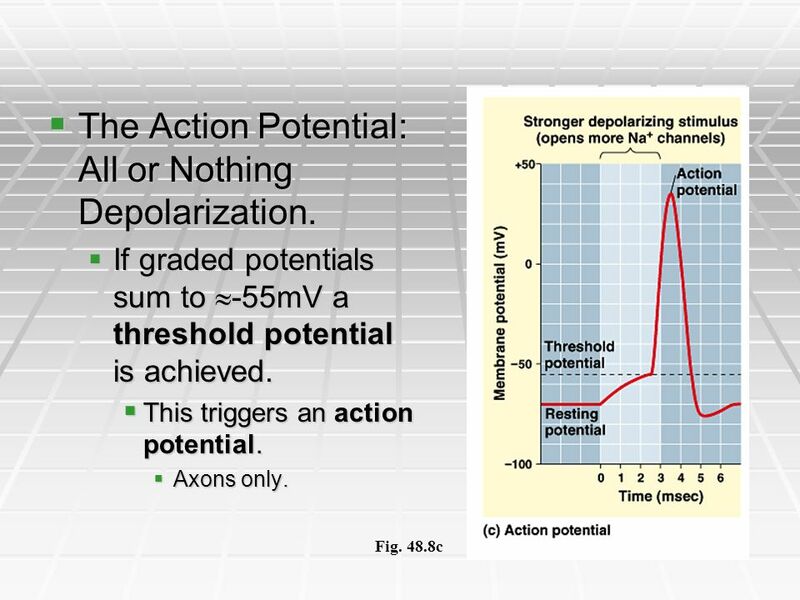 23 The Action Potential: All or Nothing Depolarization. Electrical Synapses. Action potentials travels directly from the presynaptic to the postsynaptic cells via gap junctions. Chemical Synapses. More common than electrical synapses. Postsynaptic chemically-gated channels exist for ions such as Na+, K+, and Cl-. 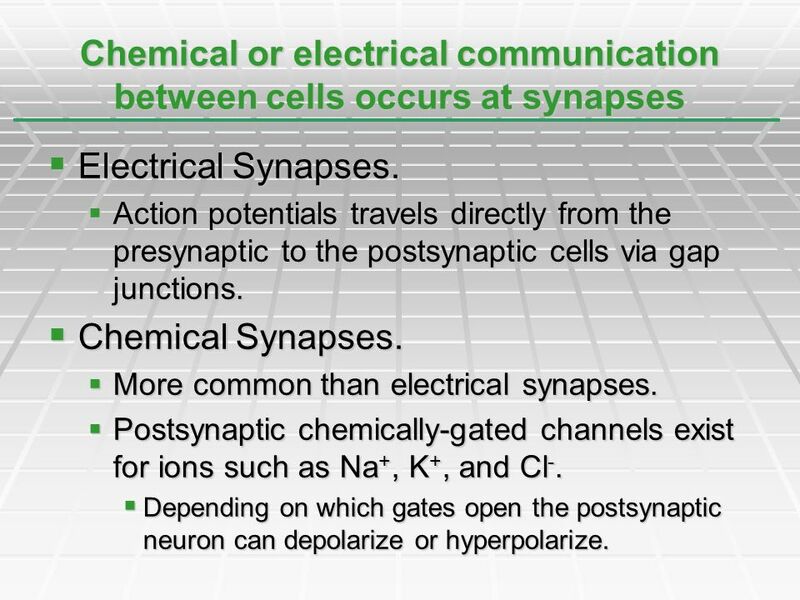 Depending on which gates open the postsynaptic neuron can depolarize or hyperpolarize. 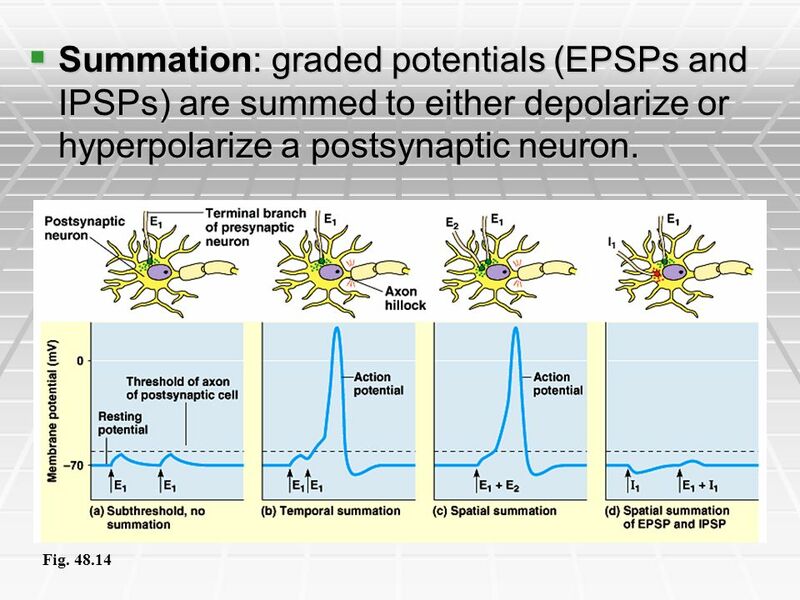 Excitatory postsynaptic potentials (EPSP) depolarize the postsynaptic neuron. The binding of neurotransmitter to postsynaptic receptors open gated channels that allow Na+ to diffuse into and K+ to diffuse out of the cell. 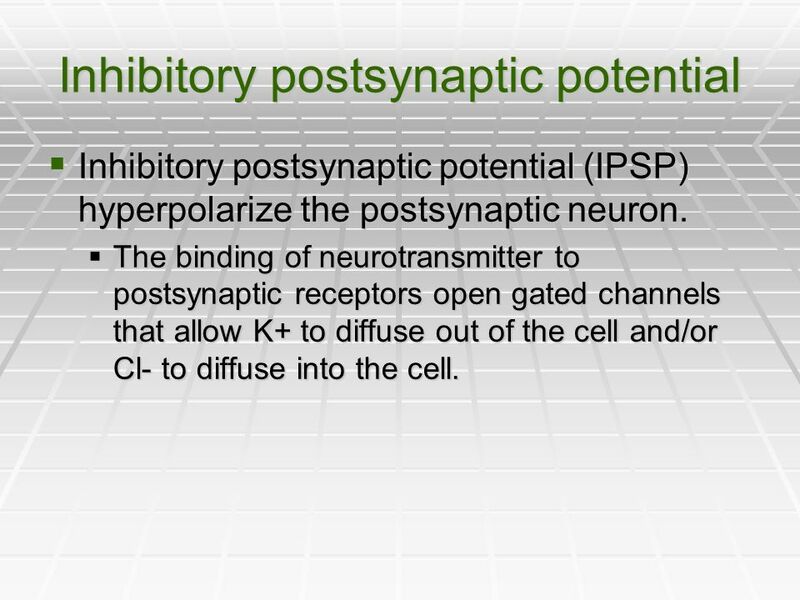 Inhibitory postsynaptic potential (IPSP) hyperpolarize the postsynaptic neuron. 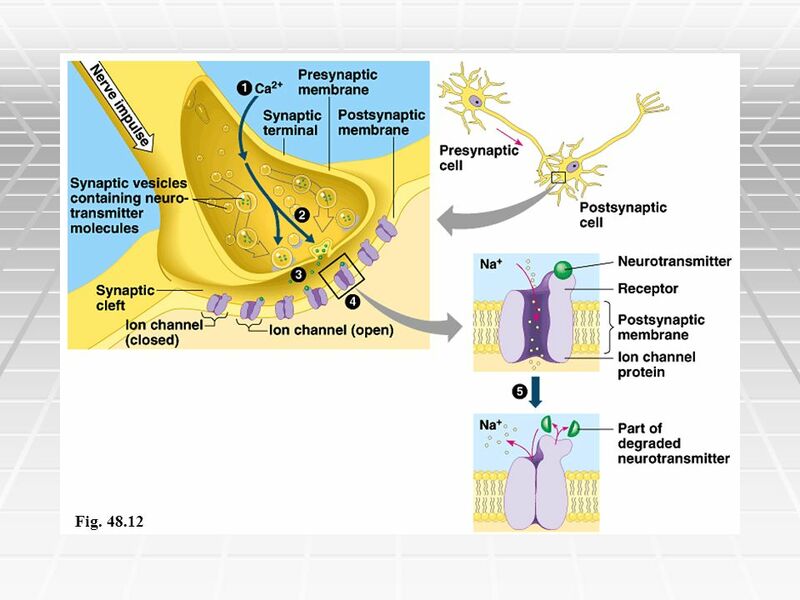 The binding of neurotransmitter to postsynaptic receptors open gated channels that allow K+ to diffuse out of the cell and/or Cl- to diffuse into the cell. Acetylcholine. Excitatory to skeletal muscle. Inhibitory to cardiac muscle. Secreted by the CNS, PNS, and at vertebrate neuromuscular junctions. Biogenic Amines. 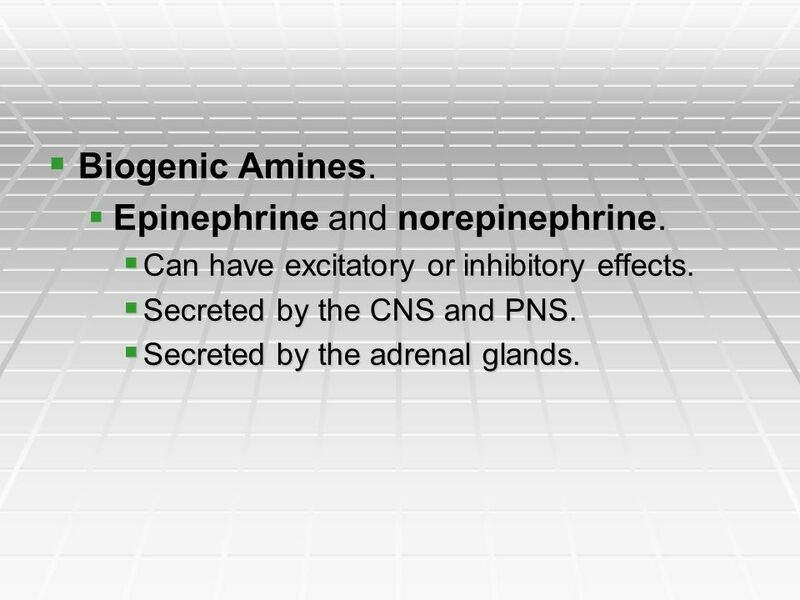 Epinephrine and norepinephrine. 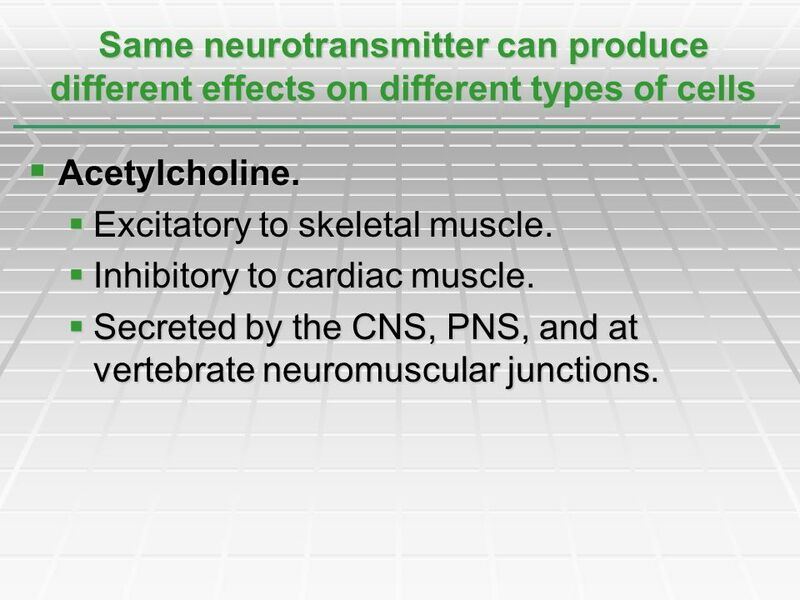 Can have excitatory or inhibitory effects. Secreted by the CNS and PNS. Secreted by the adrenal glands. 31 Dopamine Generally excitatory; may be inhibitory at some sites. Widespread in the brain. Affects sleep, mood, attention, and learning. Secreted by the CNS and PNS. A lack of dopamine in the brain is associated with Parkinson’s disease. 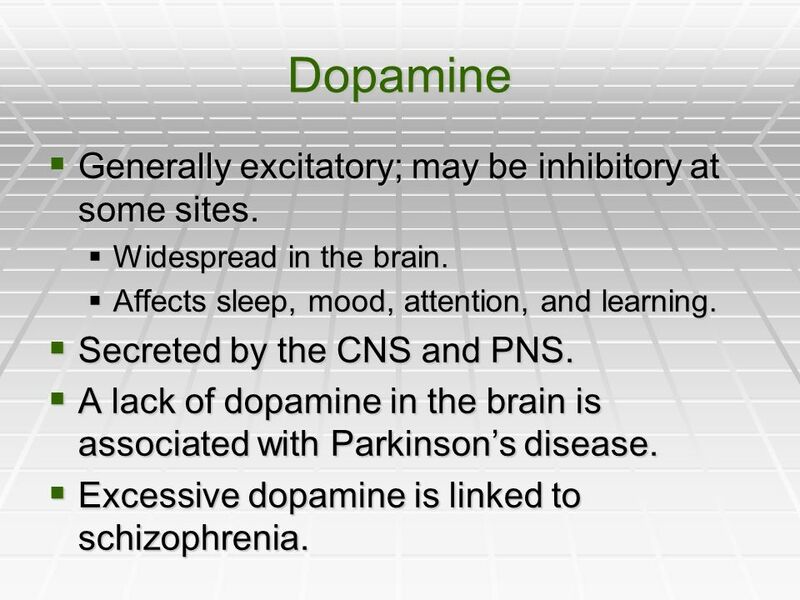 Excessive dopamine is linked to schizophrenia. 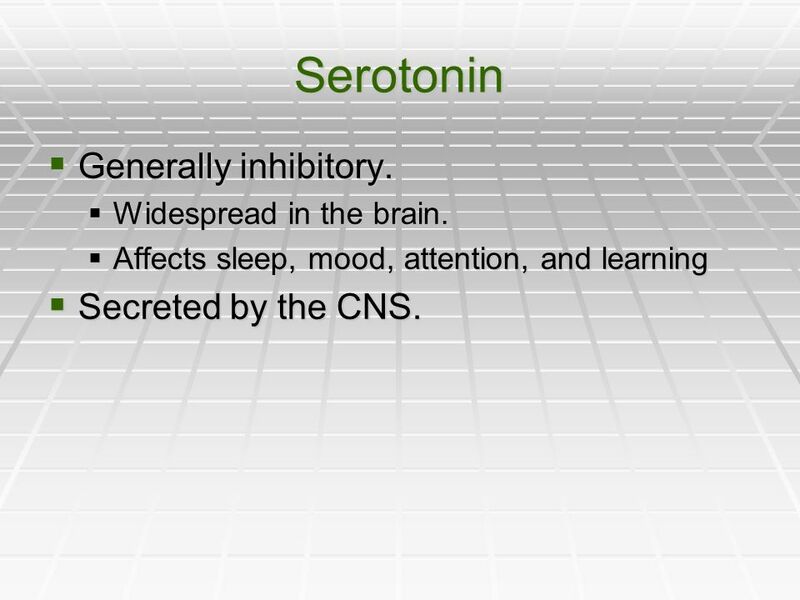 32 Serotonin Generally inhibitory. Secreted by the CNS. Widespread in the brain. 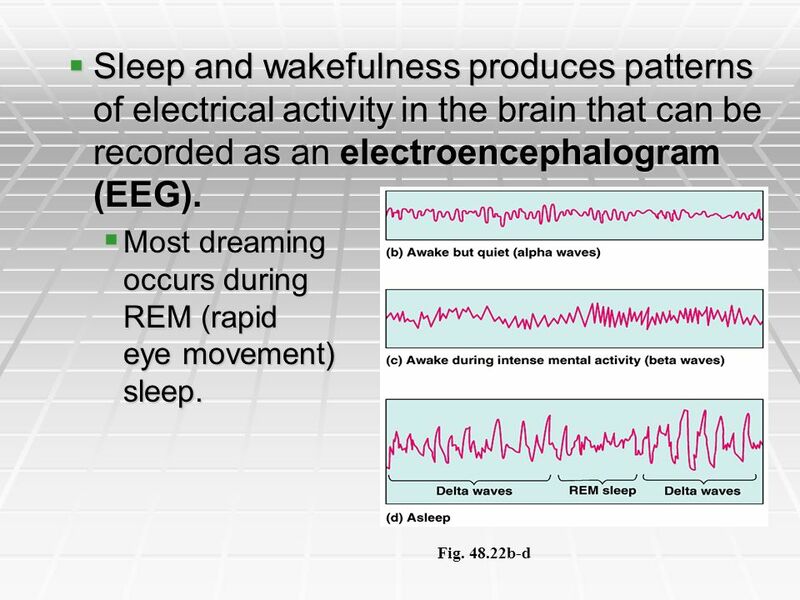 Affects sleep, mood, attention, and learning Secreted by the CNS. 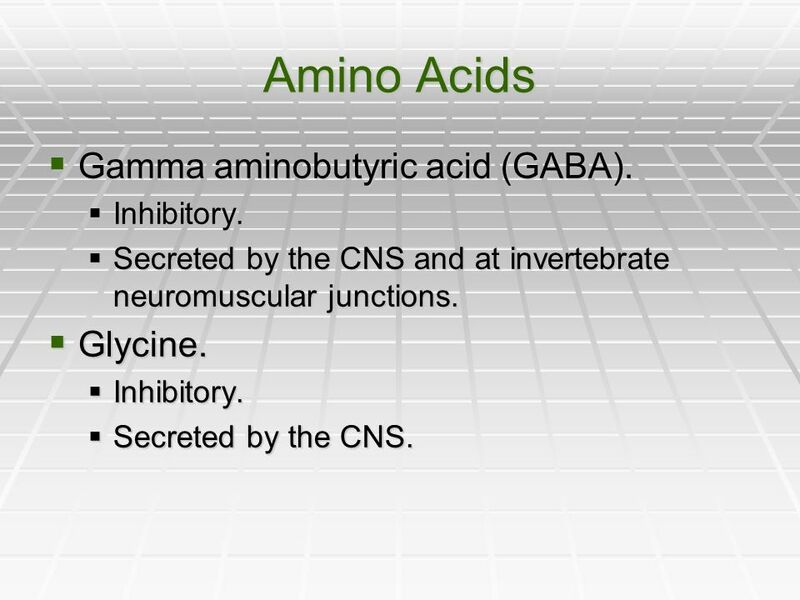 33 Amino Acids Gamma aminobutyric acid (GABA). Glycine. Inhibitory. 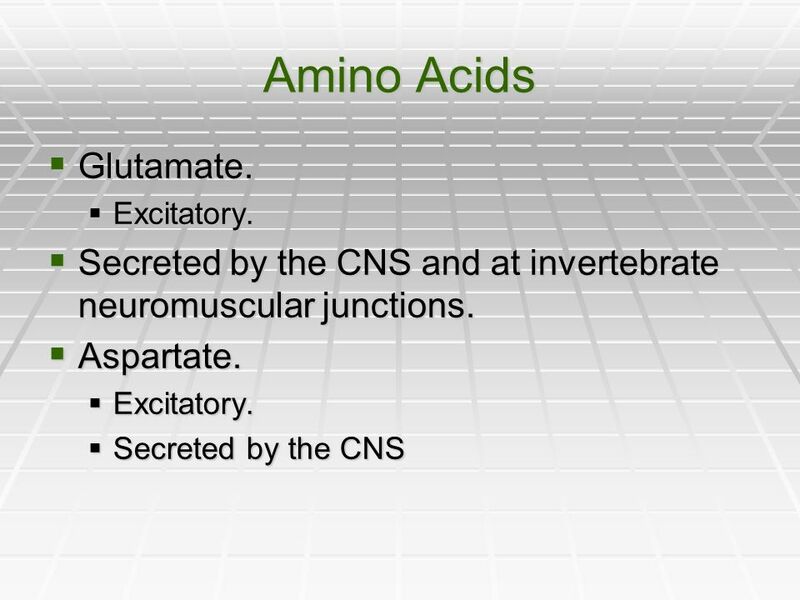 Secreted by the CNS and at invertebrate neuromuscular junctions. Glycine. Secreted by the CNS. 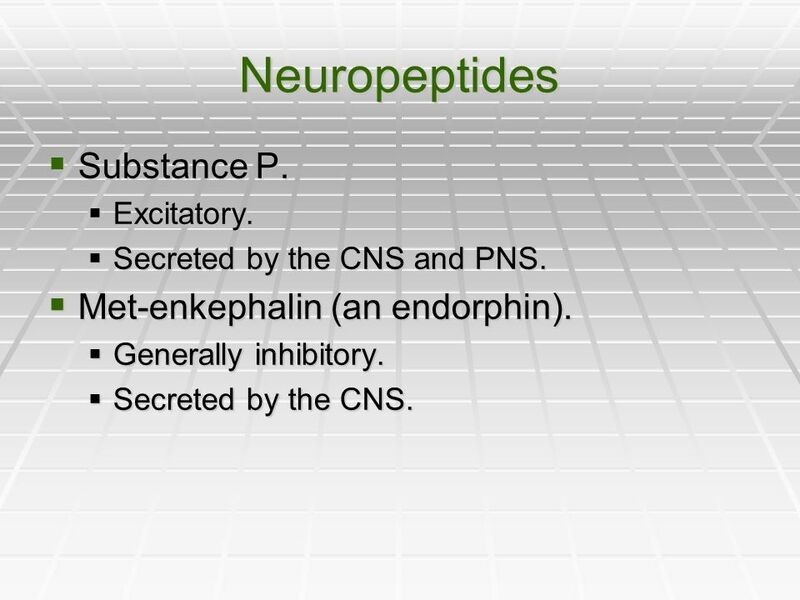 35 Neuropeptides Substance P. Met-enkephalin (an endorphin). Excitatory. Secreted by the CNS and PNS. Met-enkephalin (an endorphin). Generally inhibitory. Secreted by the CNS. 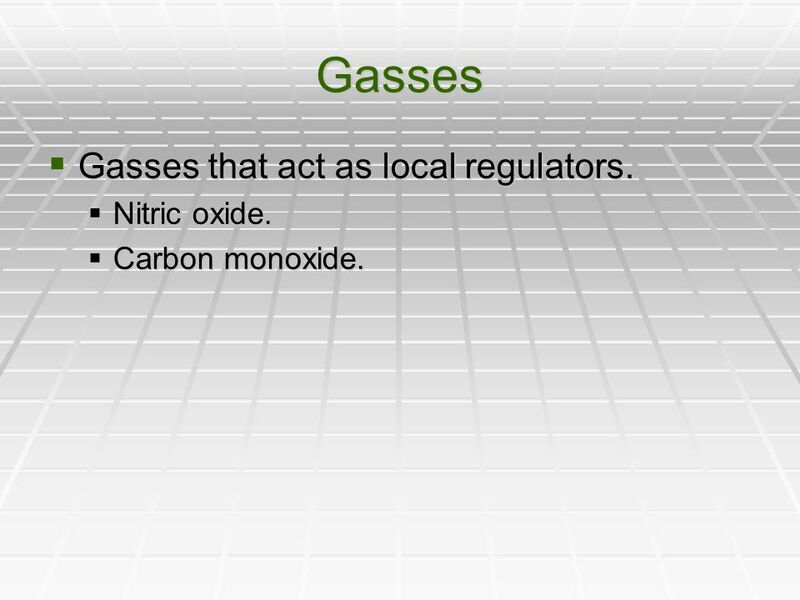 36 Gasses Gasses that act as local regulators. Nitric oxide. Central nervous system (CNS). Brain and spinal cord. Both contain fluid-filled spaces which contain cerebrospinal fluid (CSF). 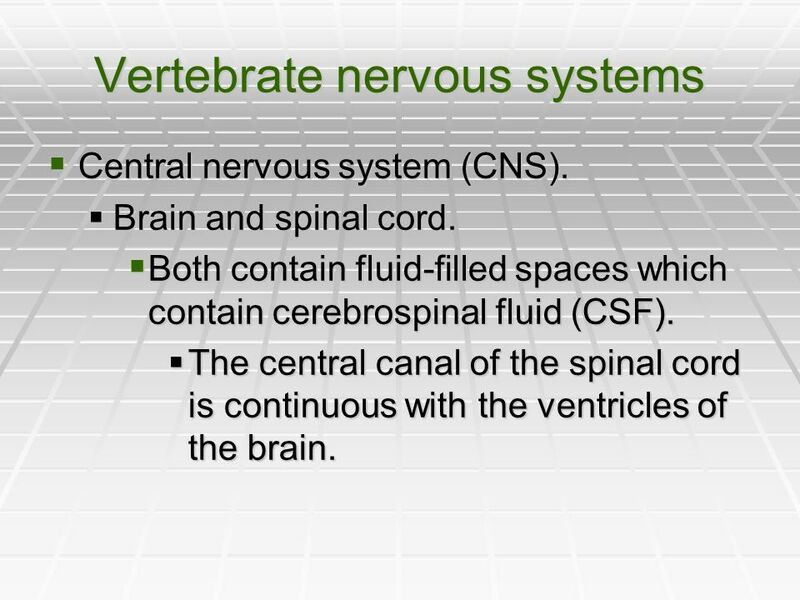 The central canal of the spinal cord is continuous with the ventricles of the brain. 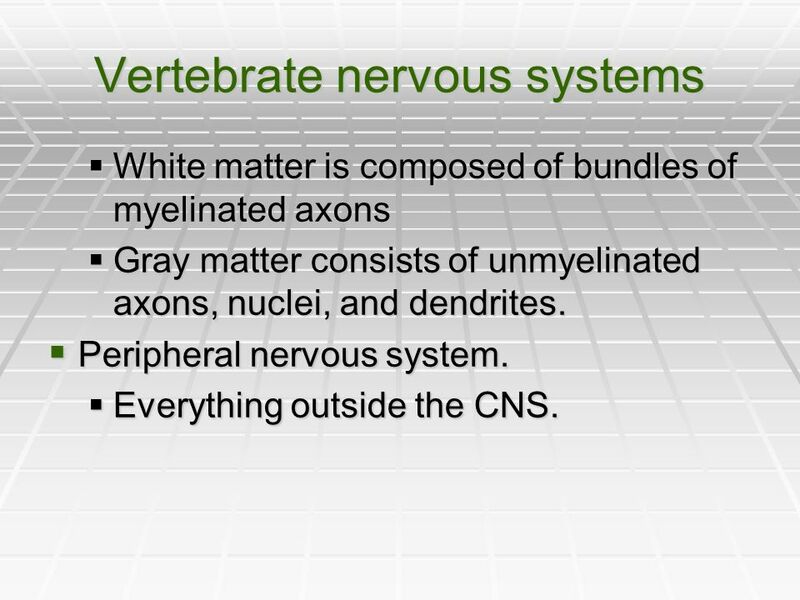 White matter is composed of bundles of myelinated axons Gray matter consists of unmyelinated axons, nuclei, and dendrites. Peripheral nervous system. Everything outside the CNS. Structural composition of the PNS. Paired cranial nerves that originate in the brain and innervate the head and upper body. 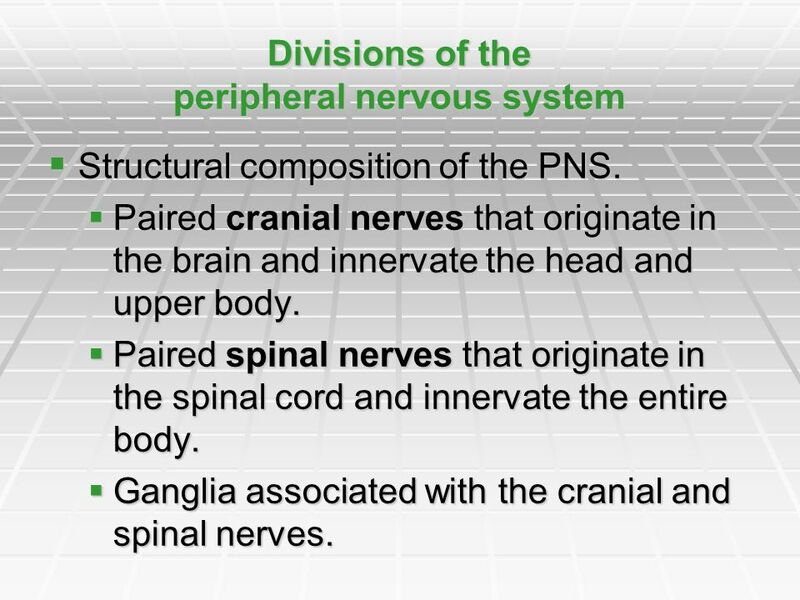 Paired spinal nerves that originate in the spinal cord and innervate the entire body. Ganglia associated with the cranial and spinal nerves. 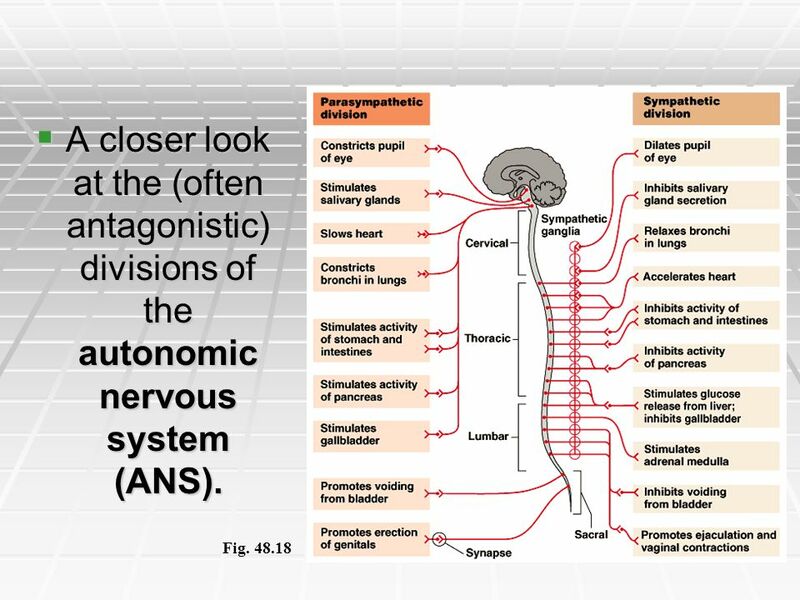 41 A closer look at the (often antagonistic) divisions of the autonomic nervous system (ANS). 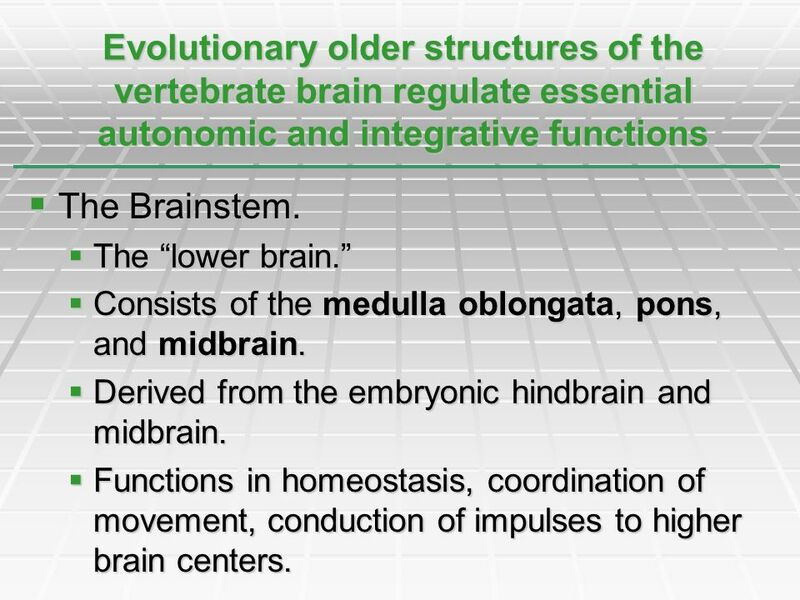 44 Evolutionary older structures of the vertebrate brain regulate essential autonomic and integrative functions The Brainstem. The “lower brain.” Consists of the medulla oblongata, pons, and midbrain. Derived from the embryonic hindbrain and midbrain. 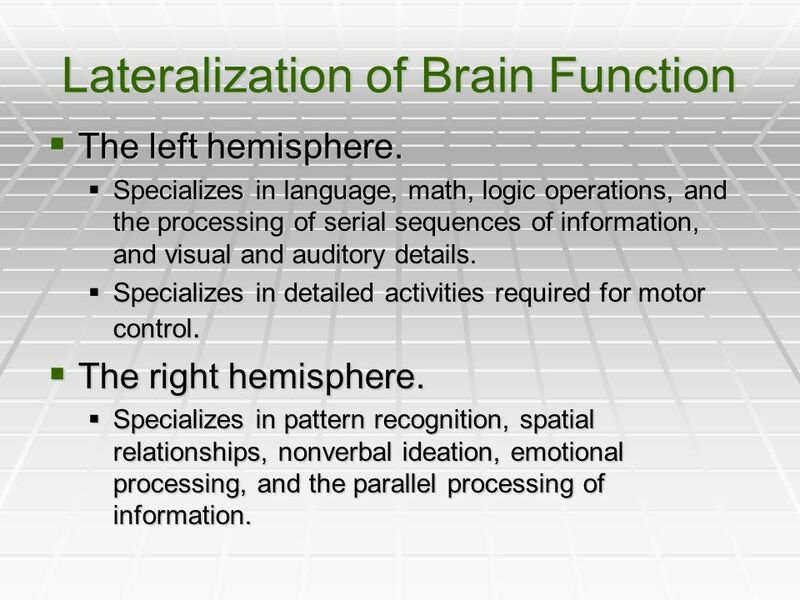 Functions in homeostasis, coordination of movement, conduction of impulses to higher brain centers. 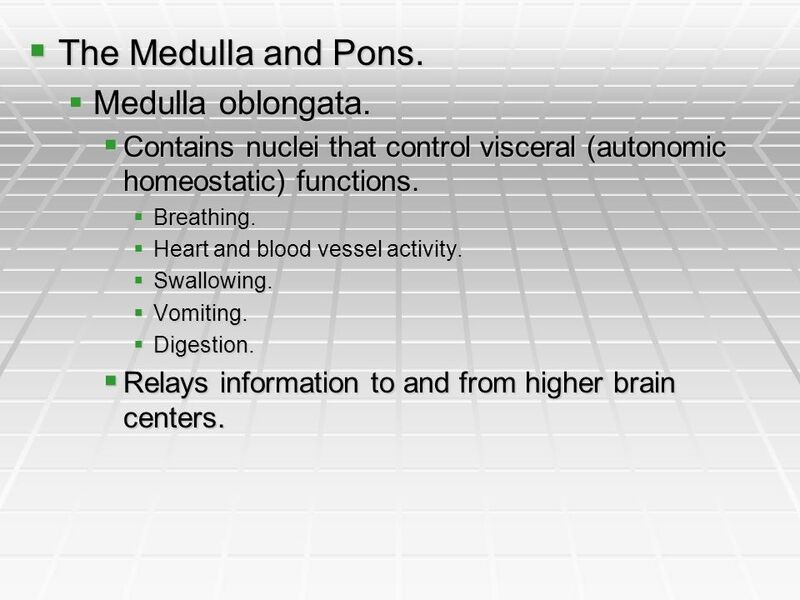 45 The Medulla and Pons. Medulla oblongata. Contains nuclei that control visceral (autonomic homeostatic) functions. Breathing. Heart and blood vessel activity. Swallowing. Vomiting. Digestion. Relays information to and from higher brain centers. 46 Pons. 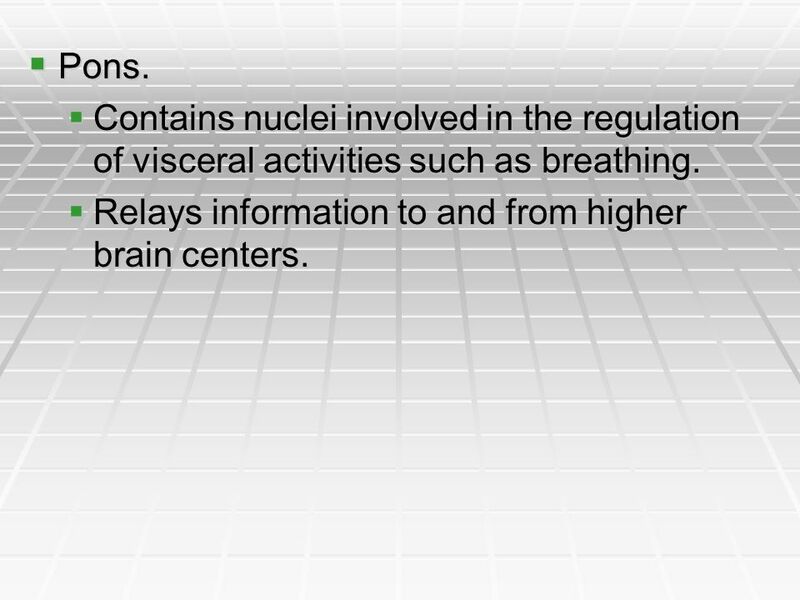 Contains nuclei involved in the regulation of visceral activities such as breathing. Relays information to and from higher brain centers. 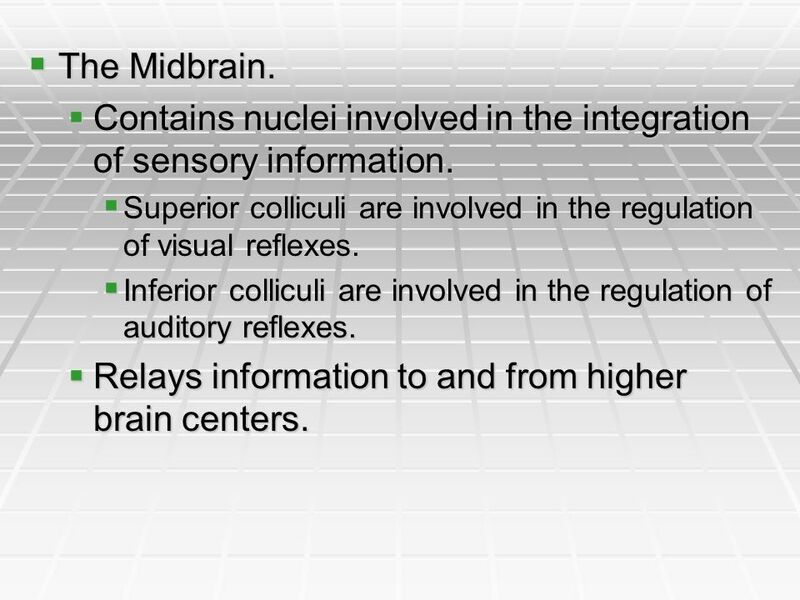 47 Contains nuclei involved in the integration of sensory information. 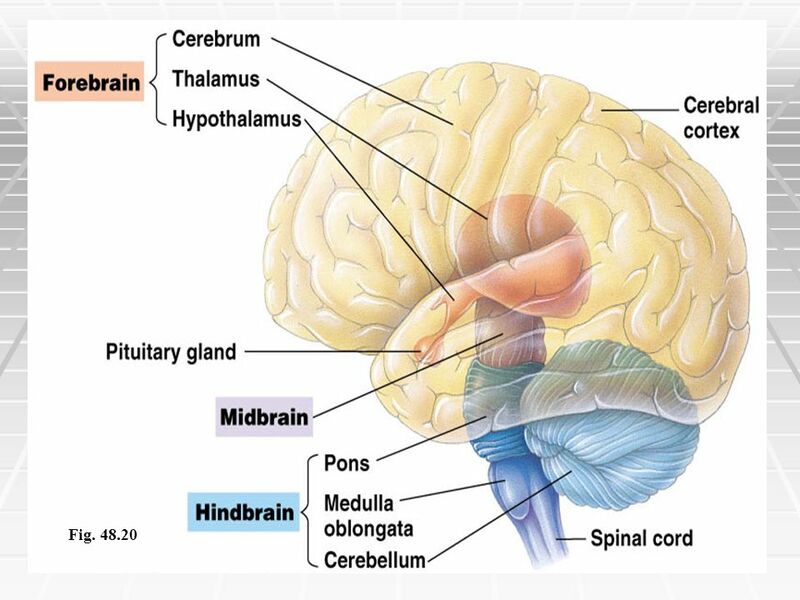 The Midbrain. Contains nuclei involved in the integration of sensory information. Superior colliculi are involved in the regulation of visual reflexes. Inferior colliculi are involved in the regulation of auditory reflexes. Relays information to and from higher brain centers. 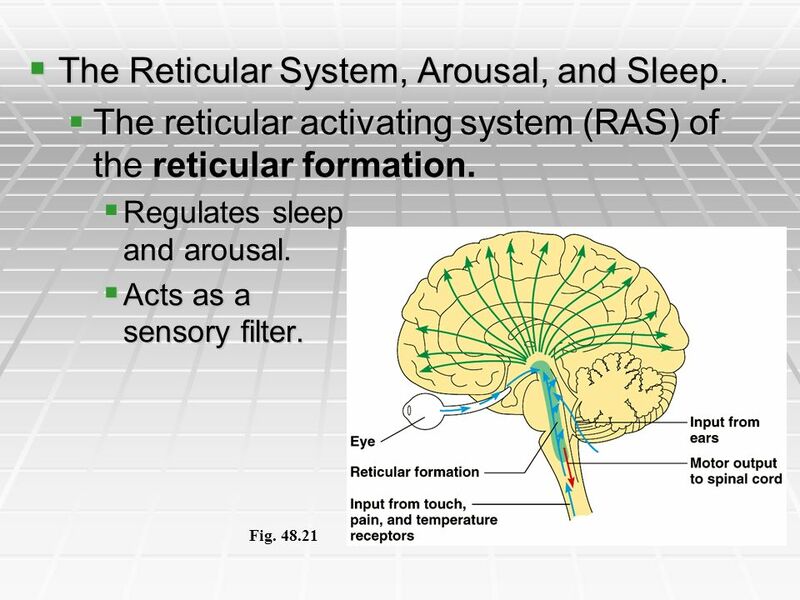 48 The Reticular System, Arousal, and Sleep. 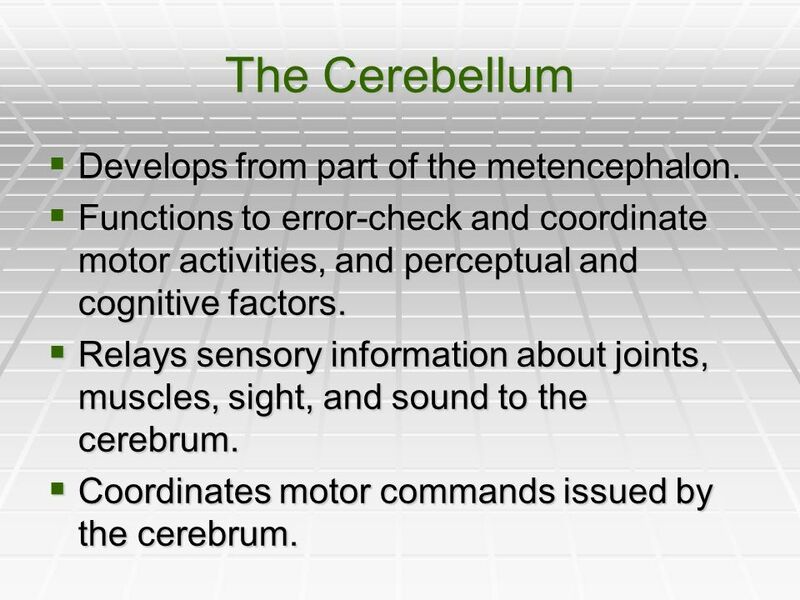 50 The Cerebellum Develops from part of the metencephalon. Functions to error-check and coordinate motor activities, and perceptual and cognitive factors. Relays sensory information about joints, muscles, sight, and sound to the cerebrum. Coordinates motor commands issued by the cerebrum. 51 The thalamus and hypothalamus. 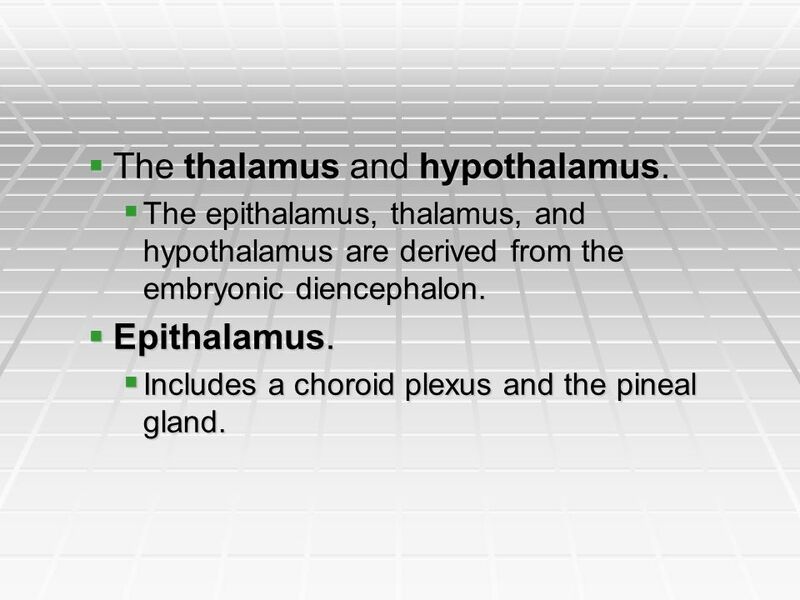 The epithalamus, thalamus, and hypothalamus are derived from the embryonic diencephalon. Epithalamus. Includes a choroid plexus and the pineal gland. 52 Thalamus. Relays all sensory information to the cerebrum. Contains one nucleus for each type of sensory information. Relays motor information from the cerebrum. Receives input from the cerebrum. 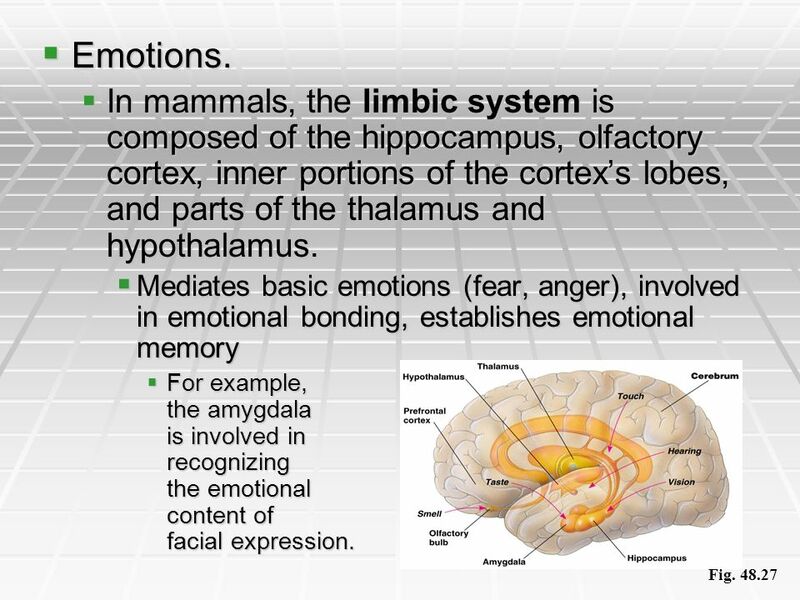 Receives input from brain centers involved in the regulation of emotion and arousal. 53 Hypothalamus. Regulates autonomic activity. Contains nuclei involved in thermoregulation, hunger, thirst, sexual and mating behavior, etc. Regulates the pituitary gland. 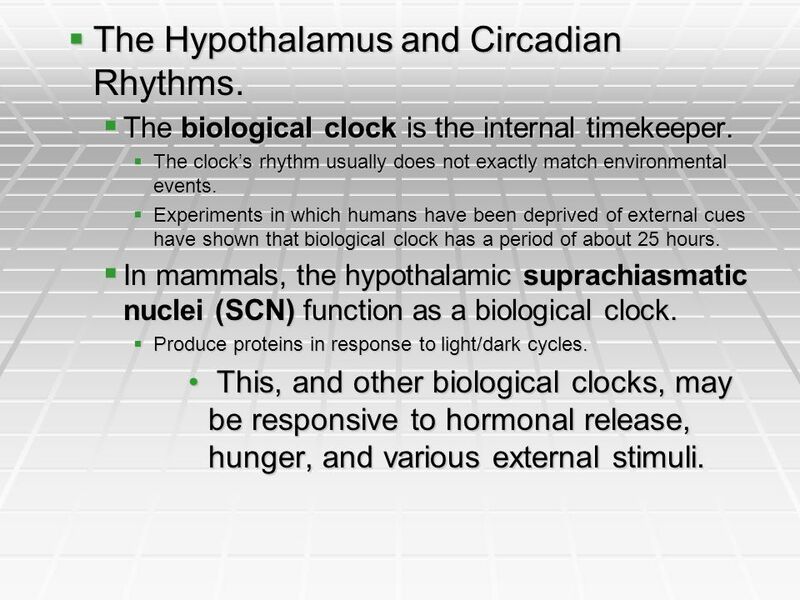 54 The Hypothalamus and Circadian Rhythms. The biological clock is the internal timekeeper. The clock’s rhythm usually does not exactly match environmental events. Experiments in which humans have been deprived of external cues have shown that biological clock has a period of about 25 hours. In mammals, the hypothalamic suprachiasmatic nuclei (SCN) function as a biological clock. Produce proteins in response to light/dark cycles. • This, and other biological clocks, may be responsive to hormonal release, hunger, and various external stimuli. 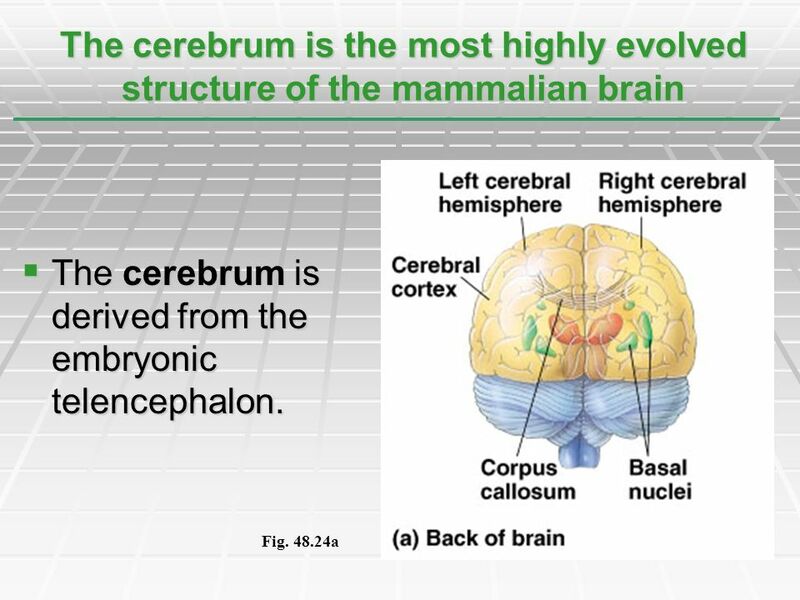 55 The cerebrum is derived from the embryonic telencephalon. 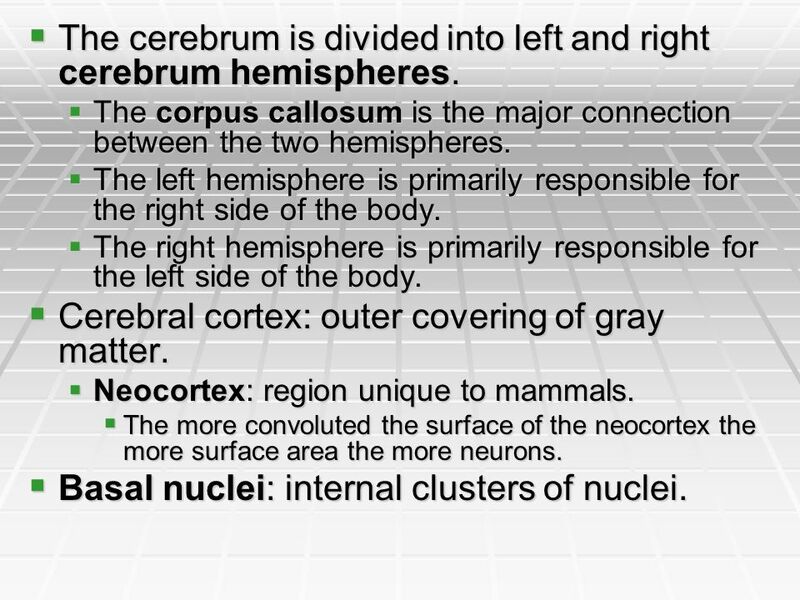 56 The cerebrum is divided into left and right cerebrum hemispheres. The corpus callosum is the major connection between the two hemispheres. The left hemisphere is primarily responsible for the right side of the body. The right hemisphere is primarily responsible for the left side of the body. Cerebral cortex: outer covering of gray matter. 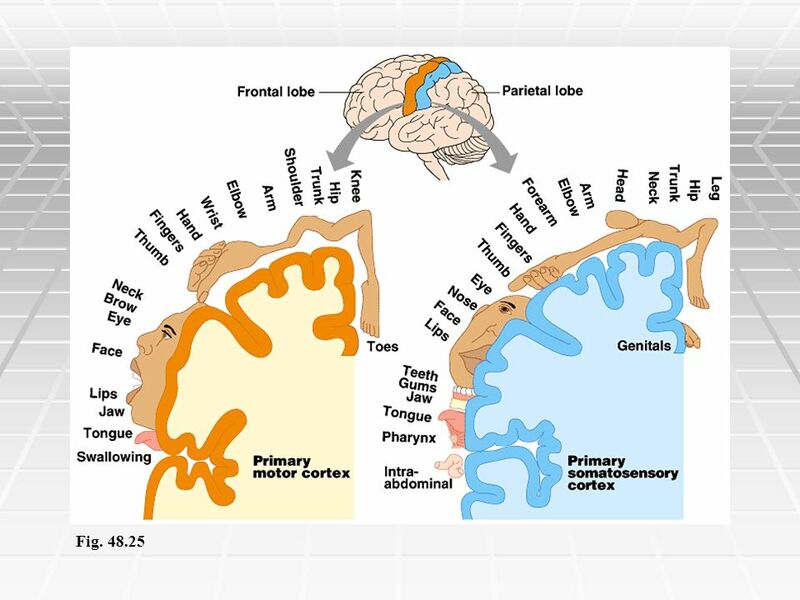 Neocortex: region unique to mammals. The more convoluted the surface of the neocortex the more surface area the more neurons. Basal nuclei: internal clusters of nuclei. 58 Frontal lobe. Parietal lobe. Contains the primary motor cortex. 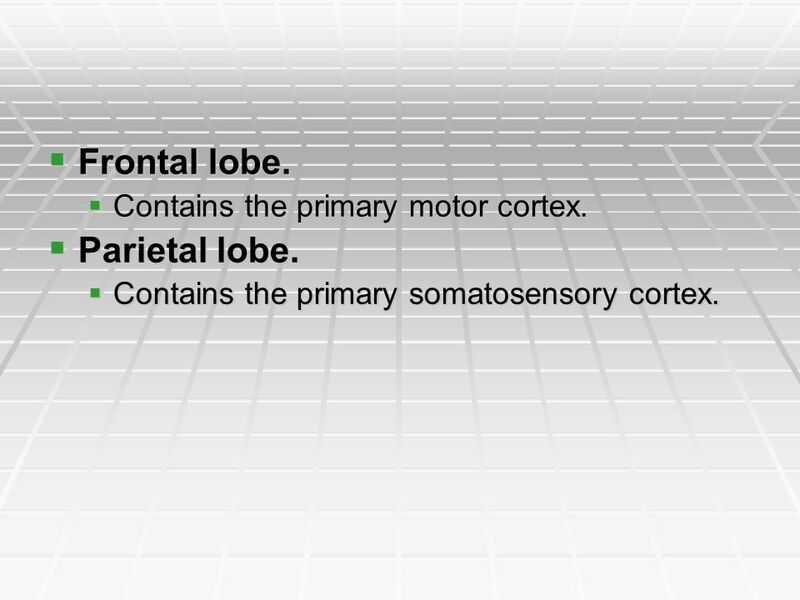 Contains the primary somatosensory cortex. 60 Integrative Function of the Association Areas. 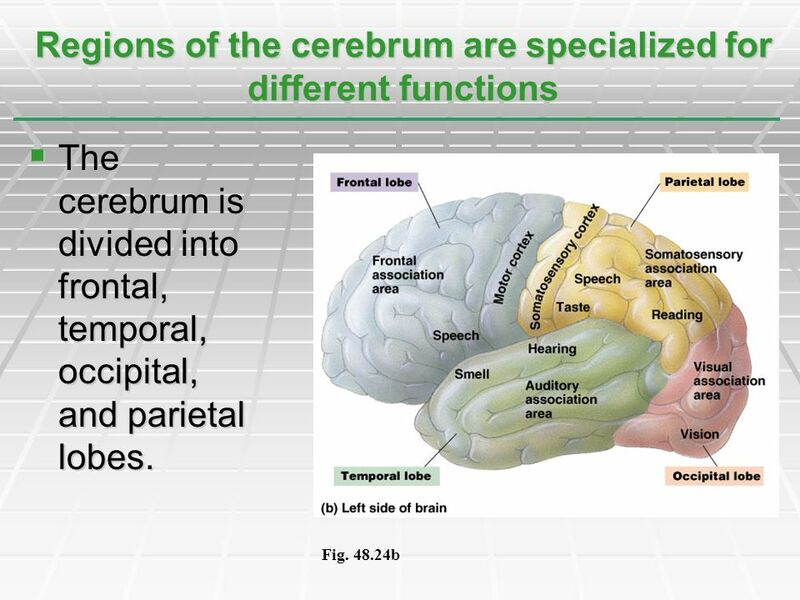 Much of the cerebrum is given over to association areas. 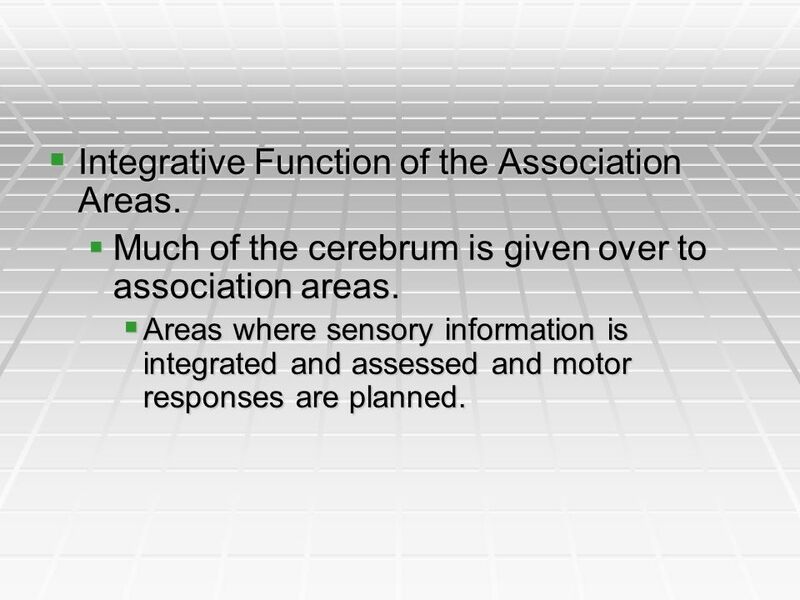 Areas where sensory information is integrated and assessed and motor responses are planned. 61 The brain exhibits plasticity of function. 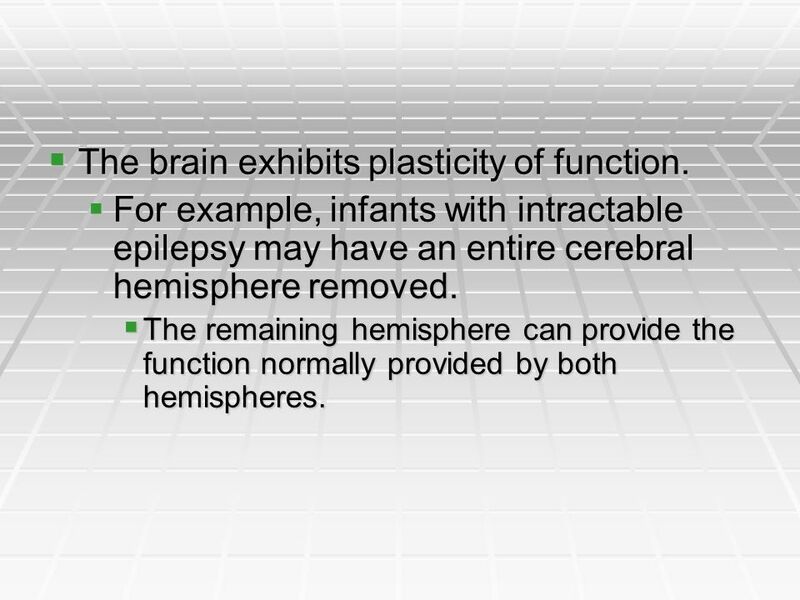 For example, infants with intractable epilepsy may have an entire cerebral hemisphere removed. The remaining hemisphere can provide the function normally provided by both hemispheres. The left hemisphere. Specializes in language, math, logic operations, and the processing of serial sequences of information, and visual and auditory details. Specializes in detailed activities required for motor control. The right hemisphere. Specializes in pattern recognition, spatial relationships, nonverbal ideation, emotional processing, and the parallel processing of information. 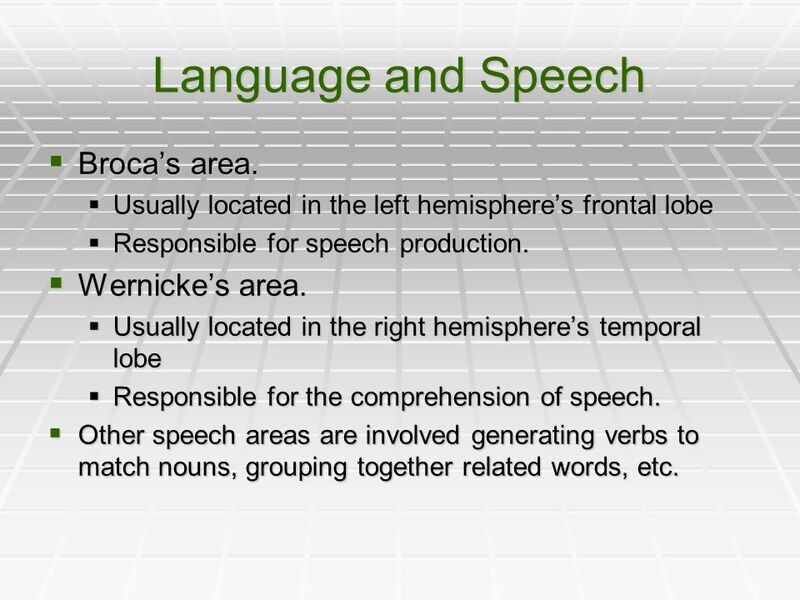 63 Language and Speech Broca’s area. Wernicke’s area. Usually located in the left hemisphere’s frontal lobe Responsible for speech production. Wernicke’s area. Usually located in the right hemisphere’s temporal lobe Responsible for the comprehension of speech. Other speech areas are involved generating verbs to match nouns, grouping together related words, etc. 65 Memory and Learning Short-term memory stored in the frontal lobes. 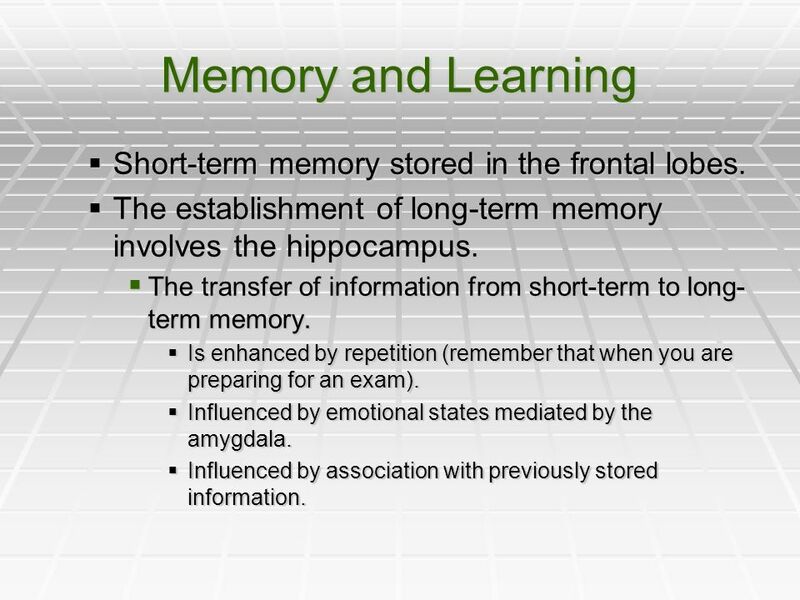 The establishment of long-term memory involves the hippocampus. The transfer of information from short-term to long-term memory. Is enhanced by repetition (remember that when you are preparing for an exam). Influenced by emotional states mediated by the amygdala. Influenced by association with previously stored information. 66 Memorization-type memory can be rapid. Different types of long-term memories are stored in different regions of the brain. 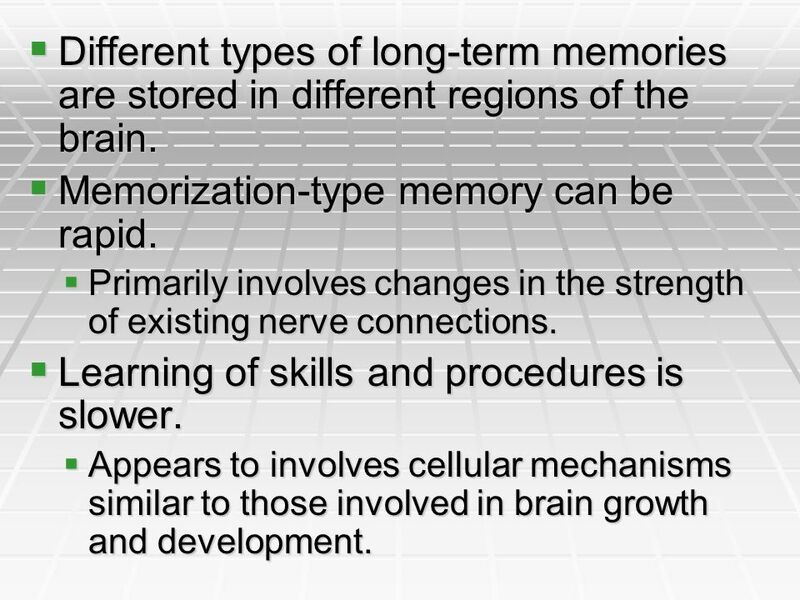 Memorization-type memory can be rapid. Primarily involves changes in the strength of existing nerve connections. Learning of skills and procedures is slower. 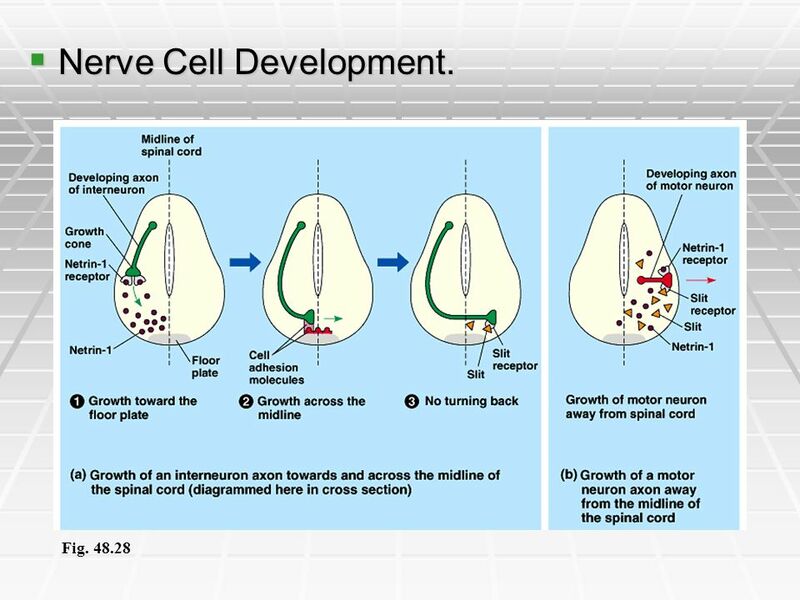 Appears to involves cellular mechanisms similar to those involved in brain growth and development. 67 Functional changes in synapses in synapses of the hippocampus and amygdala are related to memory storage and emotional conditioning. Long-term depression (LTD) occurs when a postsynaptic neuron displays decreased responsiveness to action potentials. Induced by repeated, weak stimulation. 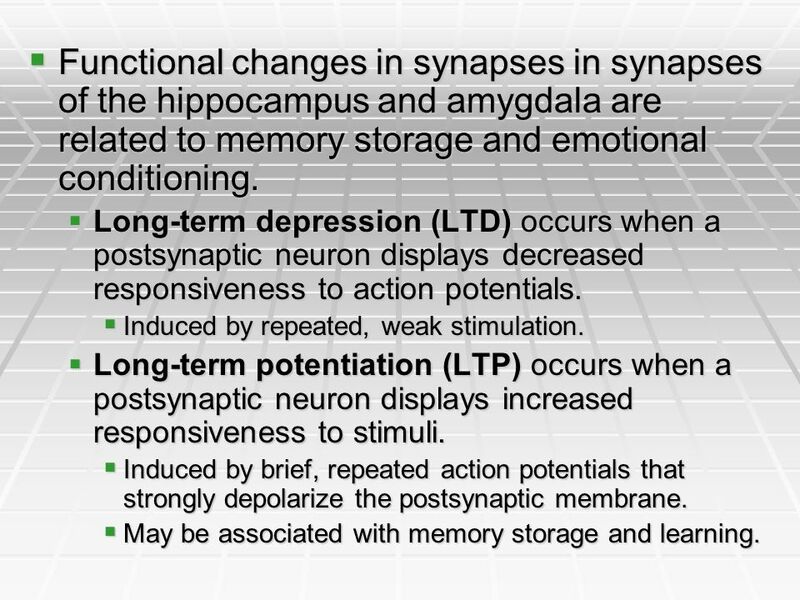 Long-term potentiation (LTP) occurs when a postsynaptic neuron displays increased responsiveness to stimuli. 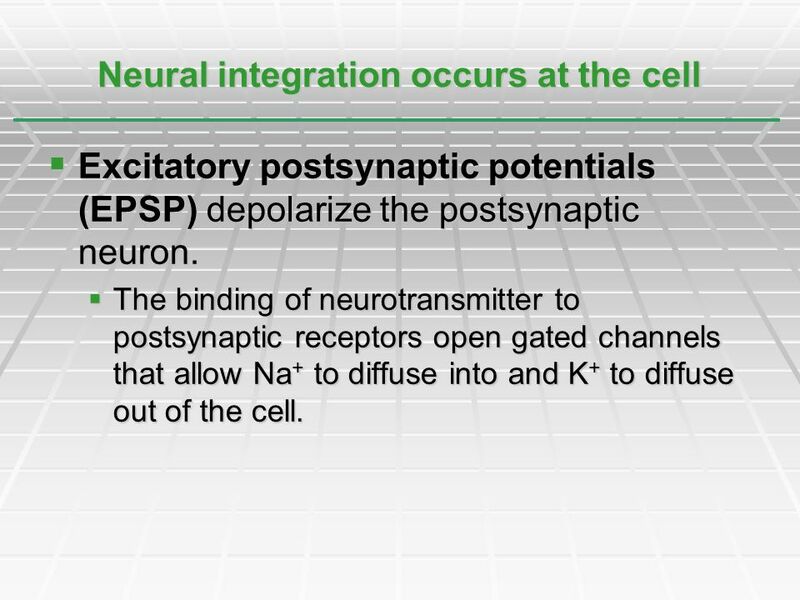 Induced by brief, repeated action potentials that strongly depolarize the postsynaptic membrane. May be associated with memory storage and learning. 68 Human Consciousness Brain imaging can show neural activity associated with: Conscious perceptual choice Unconscious processing Memory retrieval Working memory. 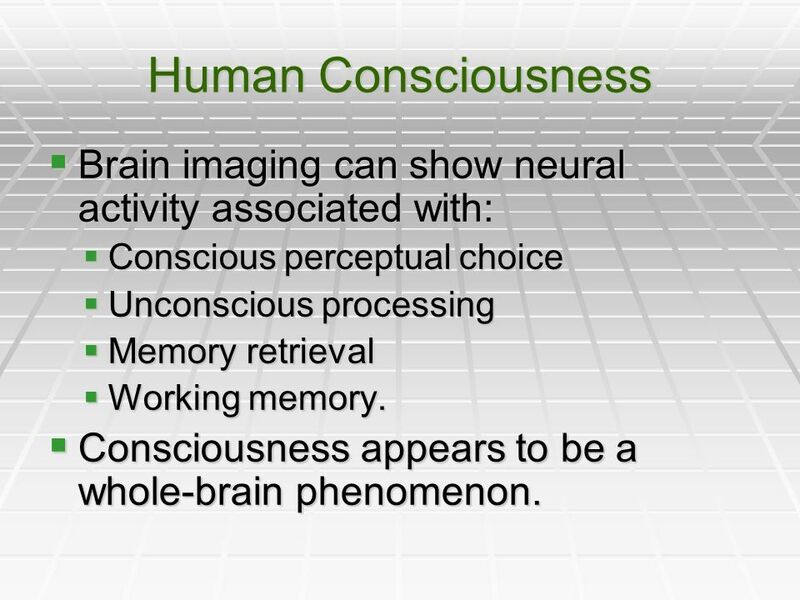 Consciousness appears to be a whole-brain phenomenon. 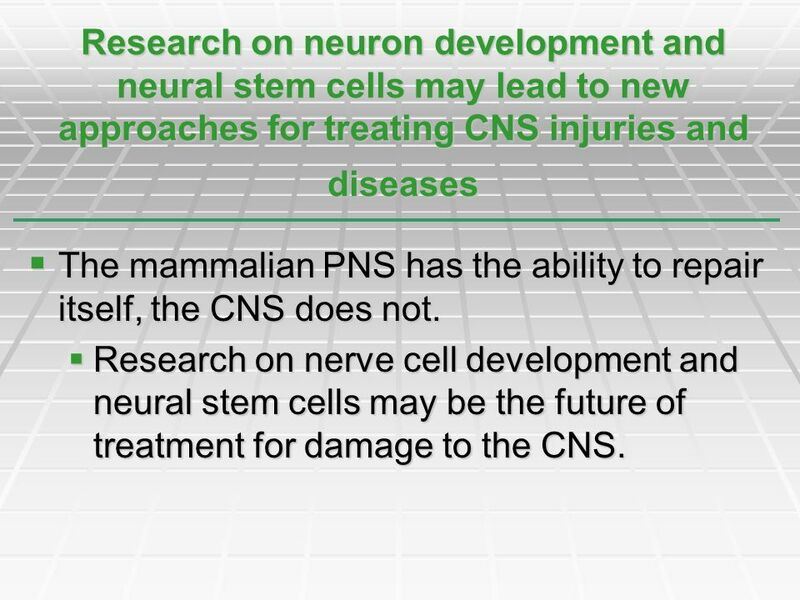 69 Research on neuron development and neural stem cells may lead to new approaches for treating CNS injuries and diseases The mammalian PNS has the ability to repair itself, the CNS does not. Research on nerve cell development and neural stem cells may be the future of treatment for damage to the CNS. 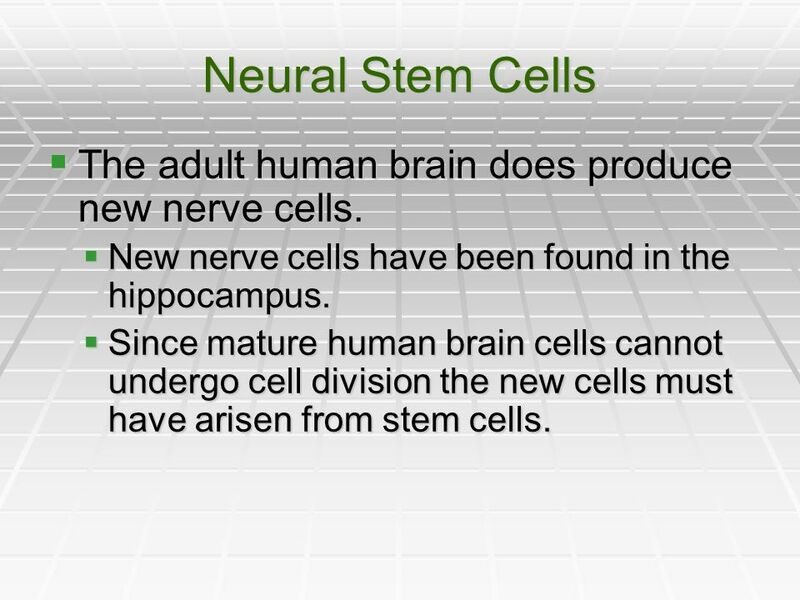 71 Neural Stem Cells The adult human brain does produce new nerve cells. New nerve cells have been found in the hippocampus. Since mature human brain cells cannot undergo cell division the new cells must have arisen from stem cells. 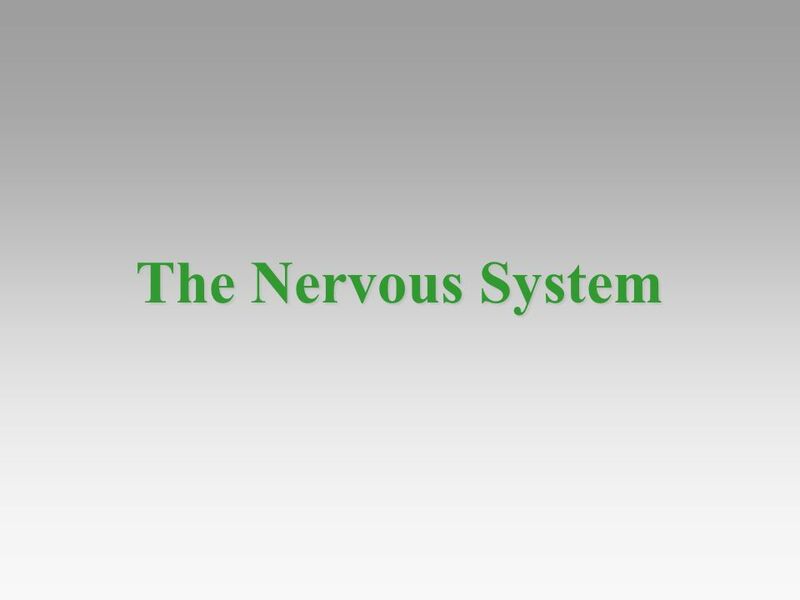 Download ppt "The Nervous System." Nervous System AP Biology Ch. 48 Ms. Haut. sensory receptor sensory input integration motor input effector. Central nervous system (CNS). Brain and spinal cord. Both contain fluid-filled spaces which contain cerebrospinal fluid (CSF). The central canal of the. The Nervous System Chapters 39 & 40. 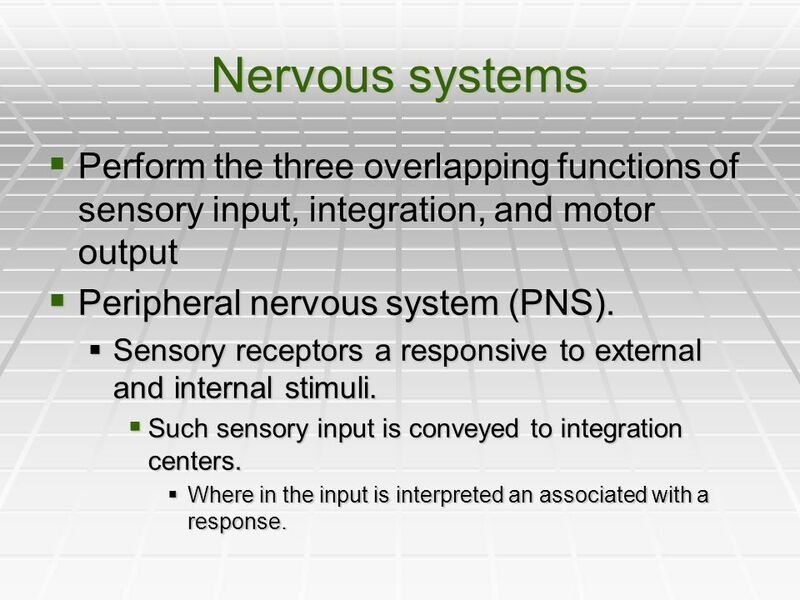 Overview Three overlapping functions: sensory input, integration, and motor output Sensory input – the conduction. 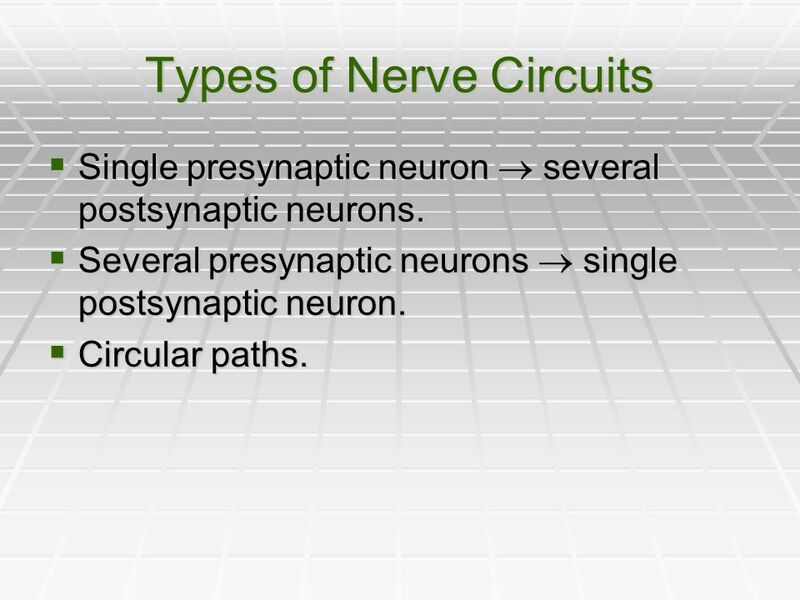 Study guide…part 1 What are the three types of neurons? What is the structure of a neuron? How does saltatory conduction change the speed of the impulse? 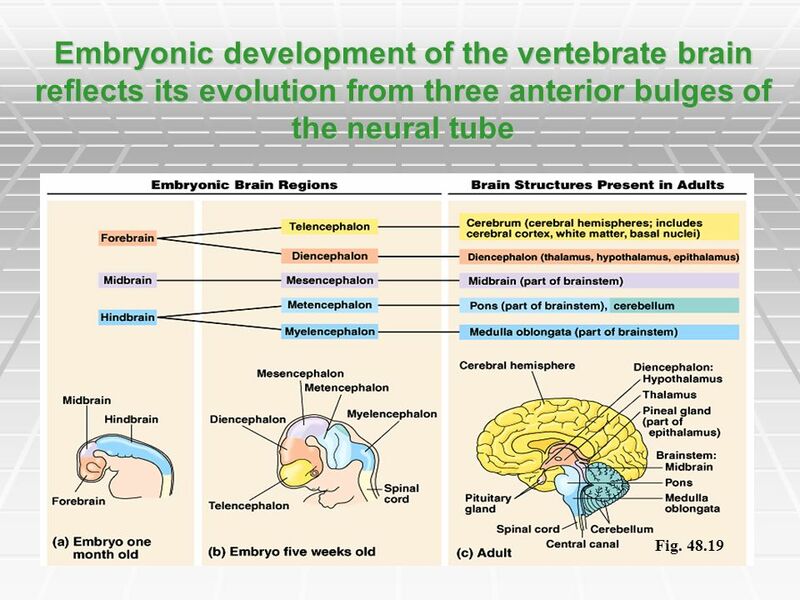 Embryonic development of the vertebrate brain reflects its evolution from three anterior bulges of the neural tube Sharks. CHAPTER 48 NERVOUS SYSTEM A Simple Nerve Circuit – the Reflex Arc - Sensory neuron - bings info from sense organs/receptors to spinal. AP Biology Nervous Systems Brain Development. 3/25 Collect Onion Mitosis Lab Nervous system Homework – Chapter 48 and 49.2 Nervous System online due tomorrow (long) – We’re done!!! Review Manual Topics. Kate McAteer. Organization of Nervous Systems 48.1  Invertebrate nervous systems range in complexity from nerve nets to brains and nerve cords  Vertebrates. Chapter The anatomy of a neuron. The mechanisms of impulse transmission in a neuron. The process that leads to release of neurotransmitter, and.